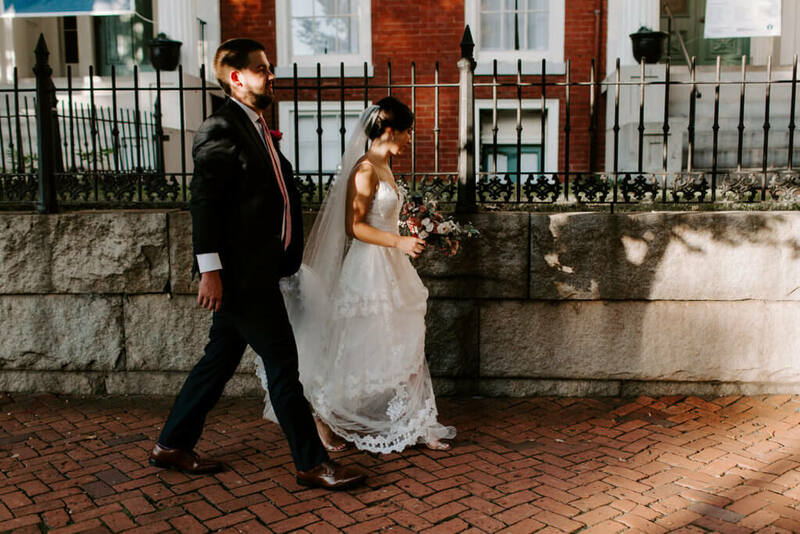 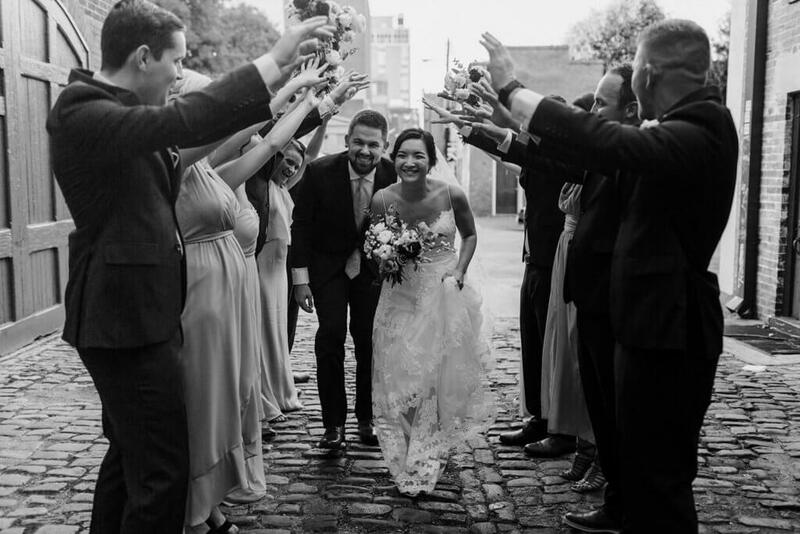 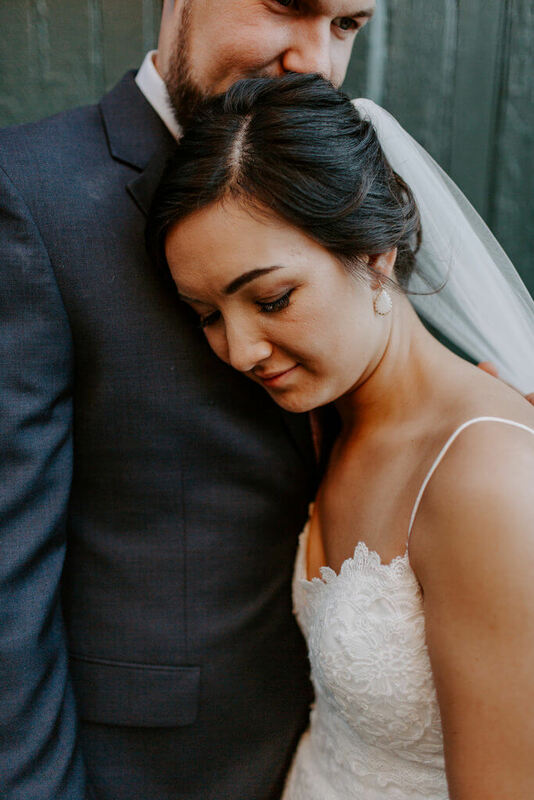 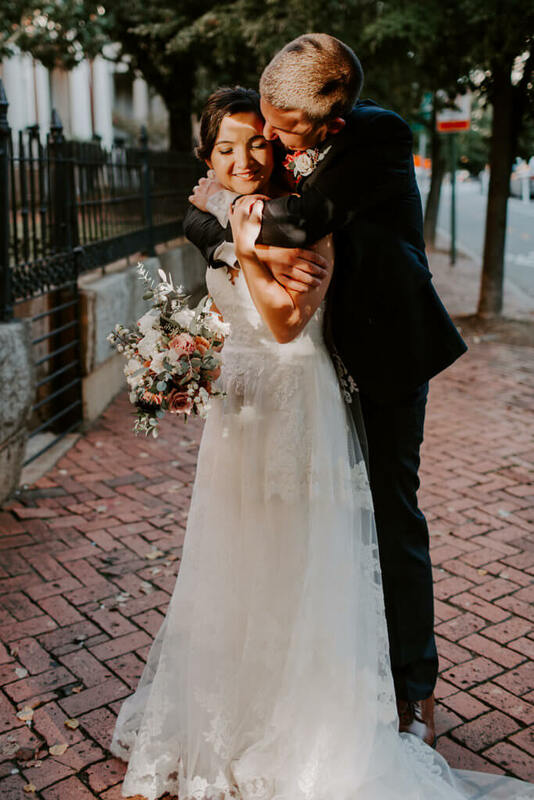 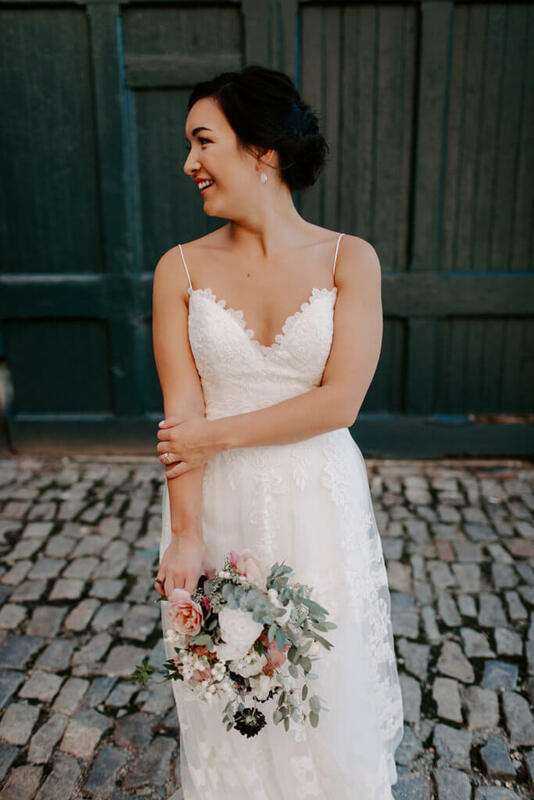 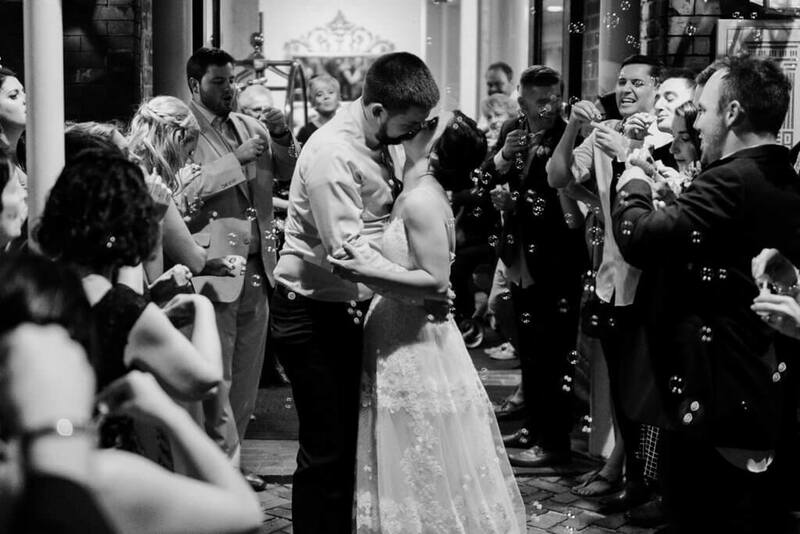 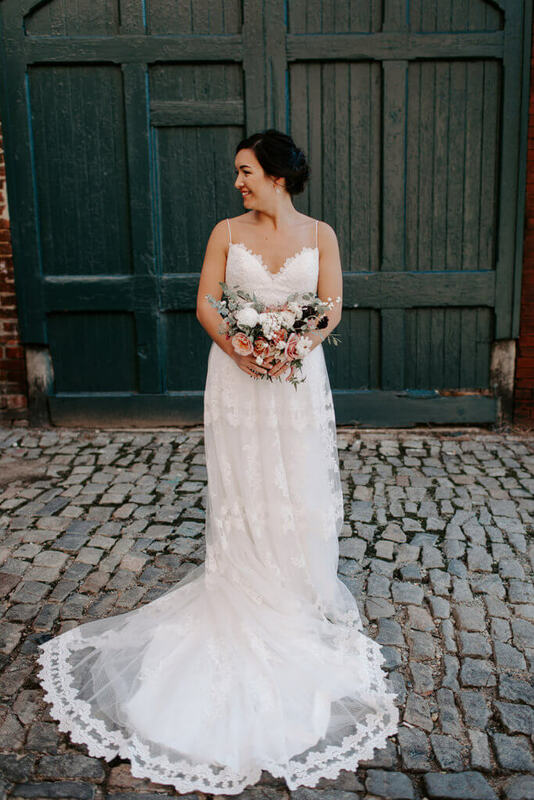 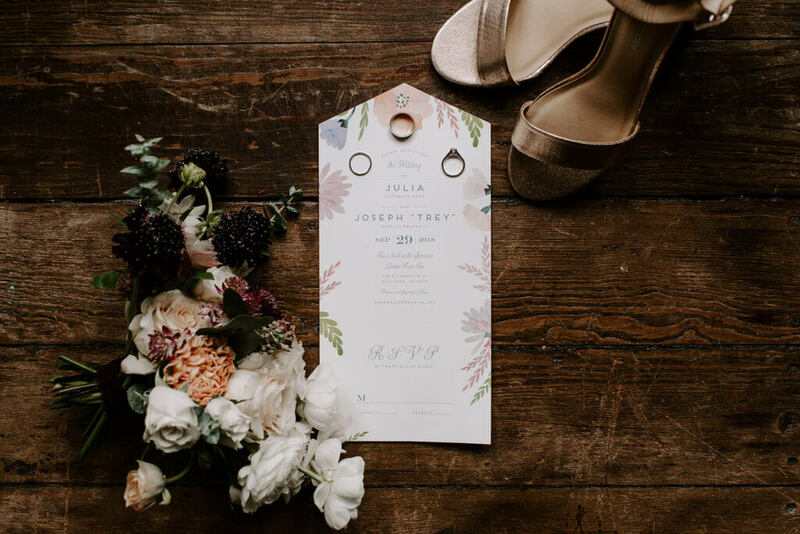 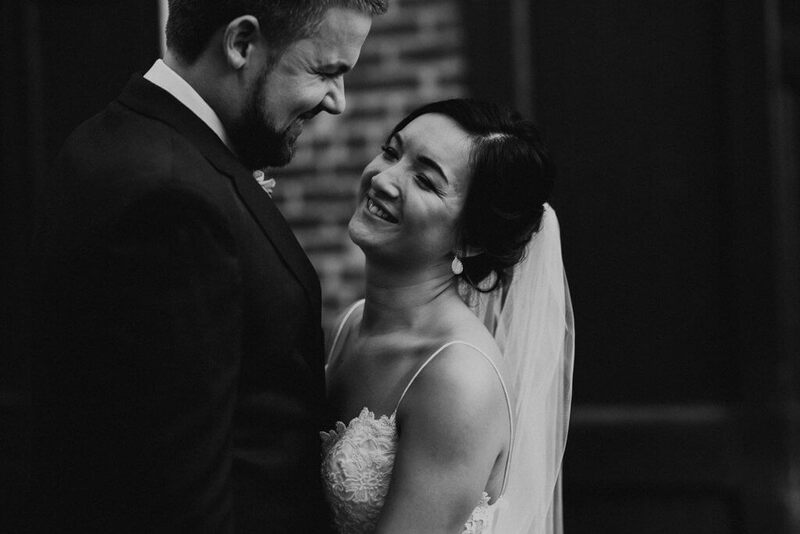 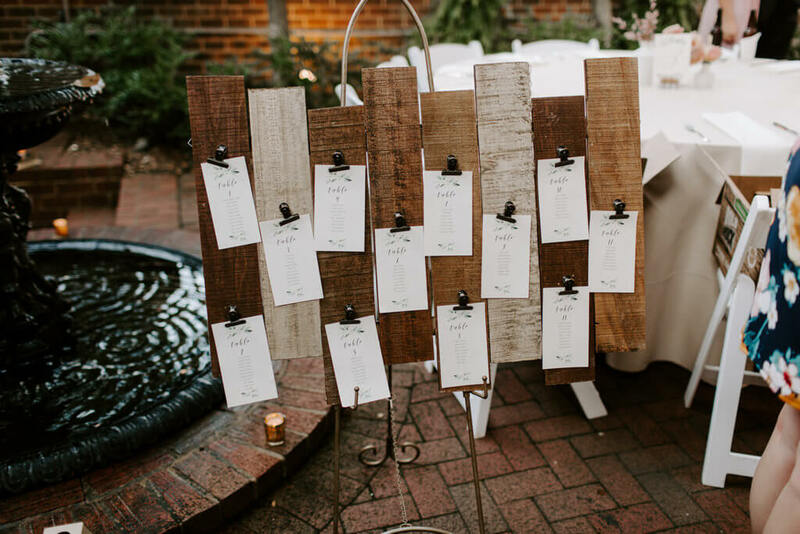 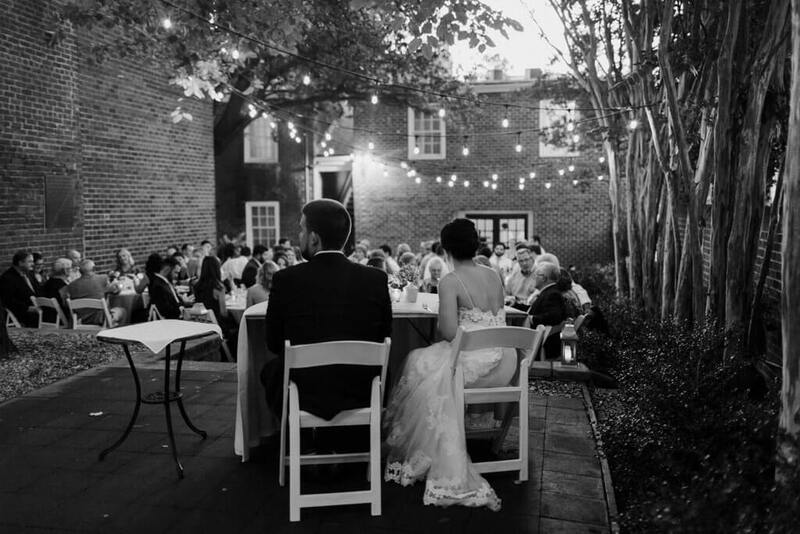 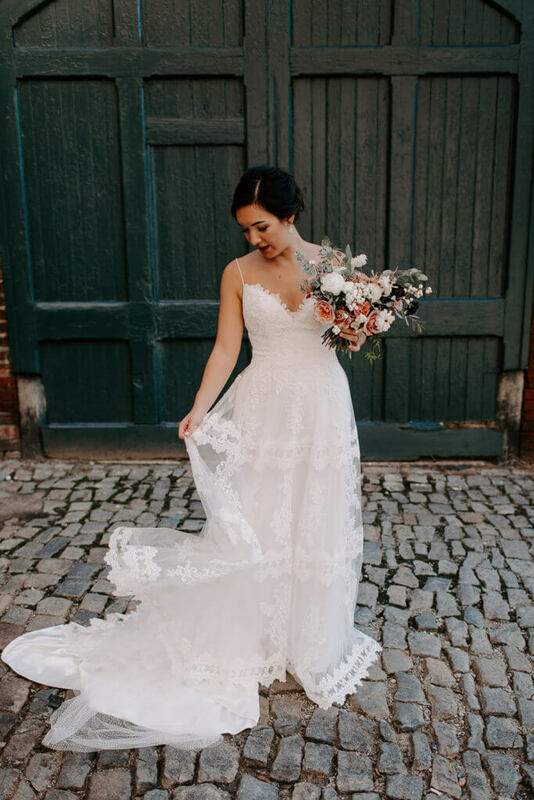 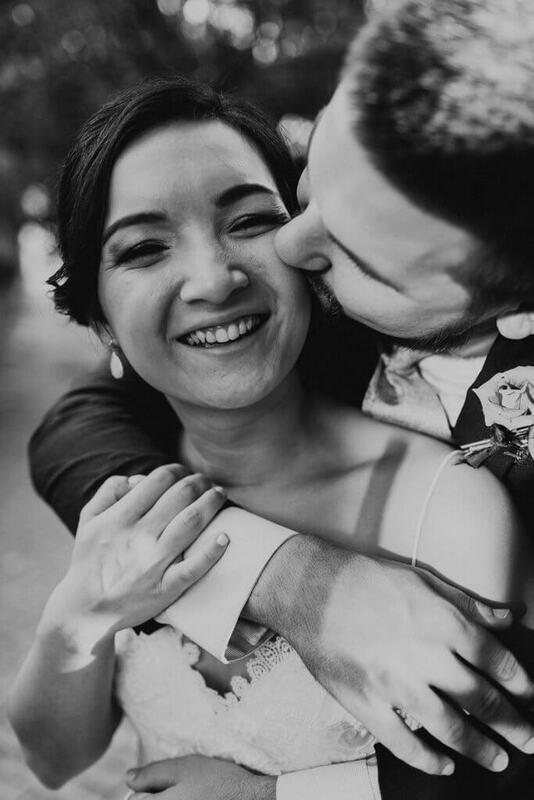 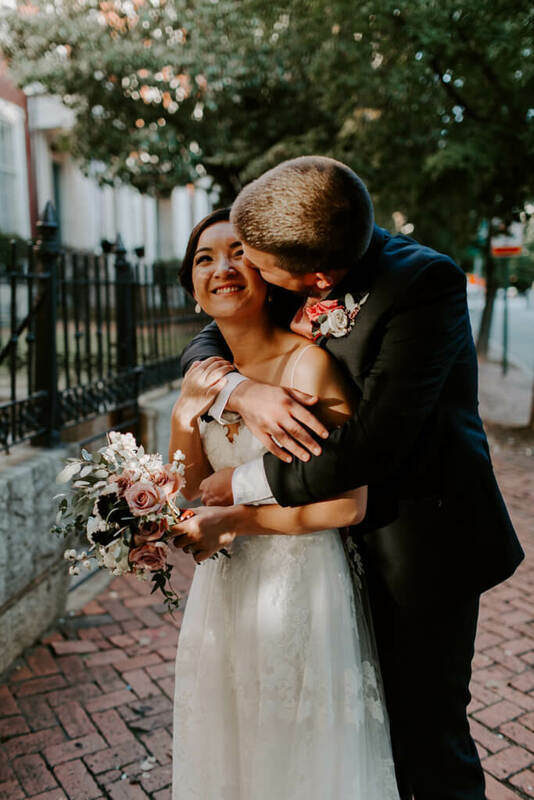 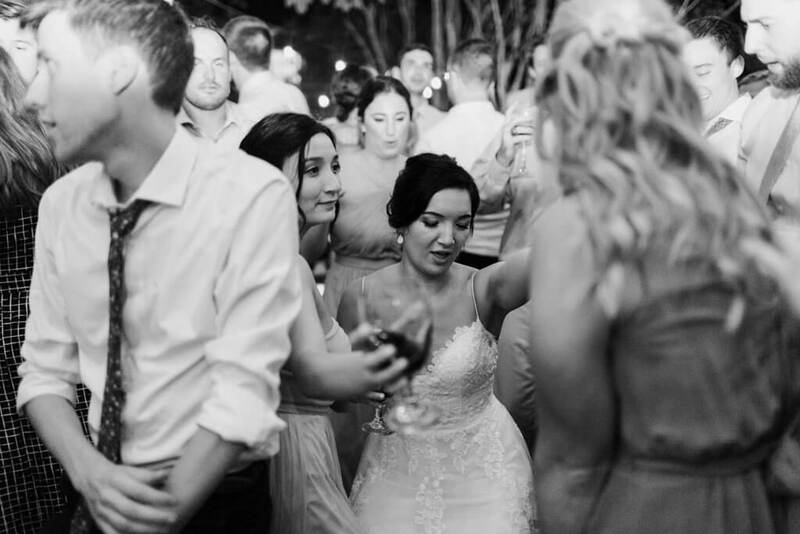 Julia and Trey chose their venue, based on its accessibility and location in Richmond. 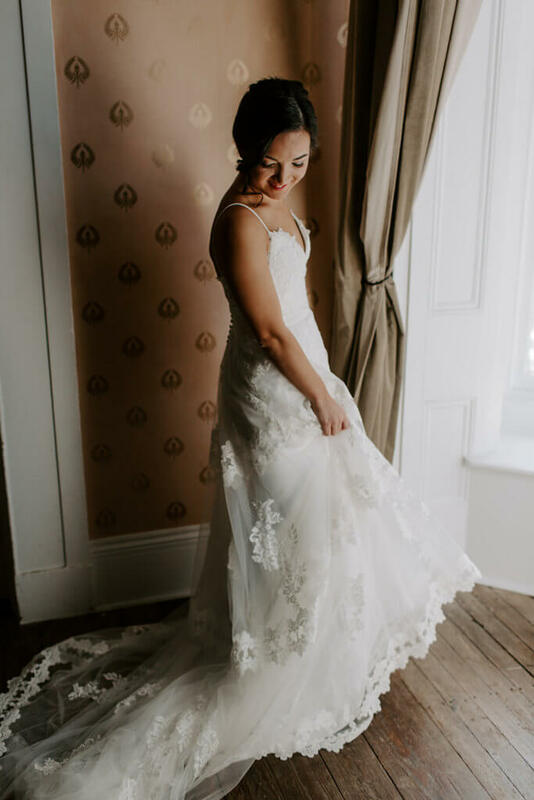 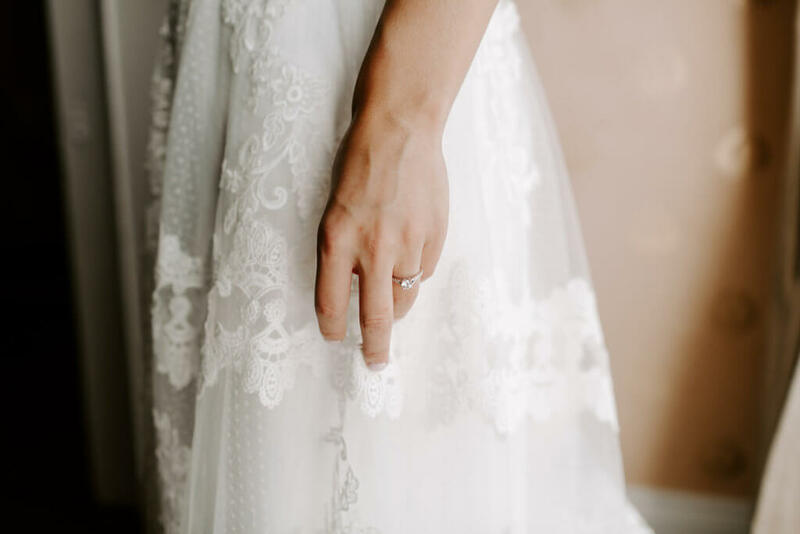 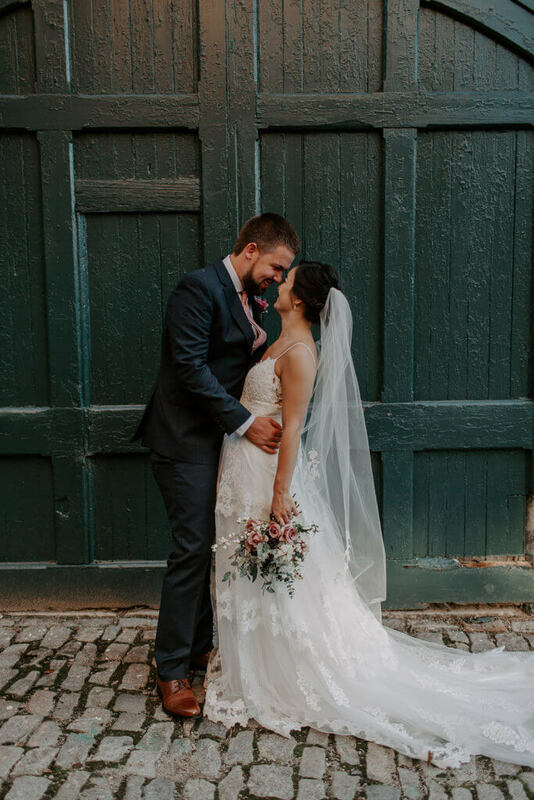 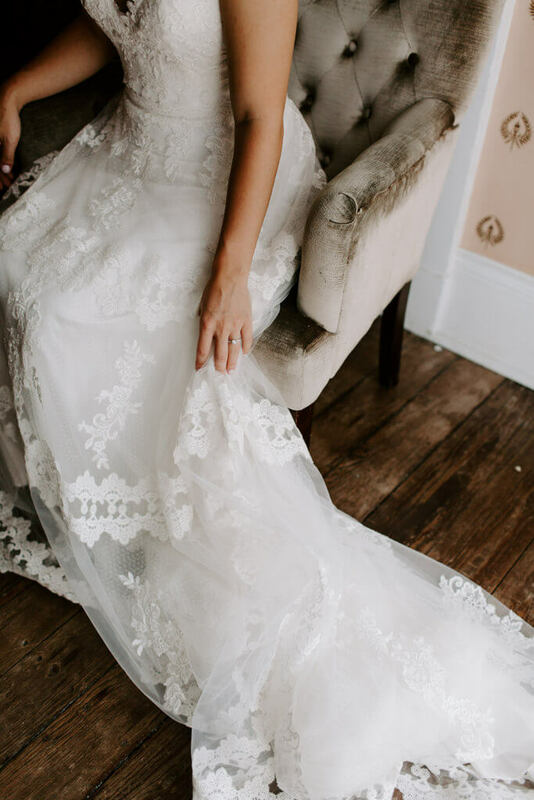 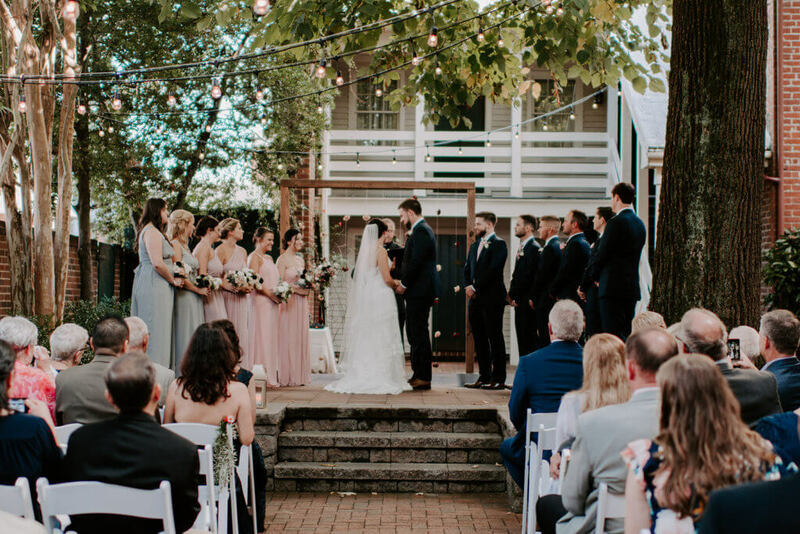 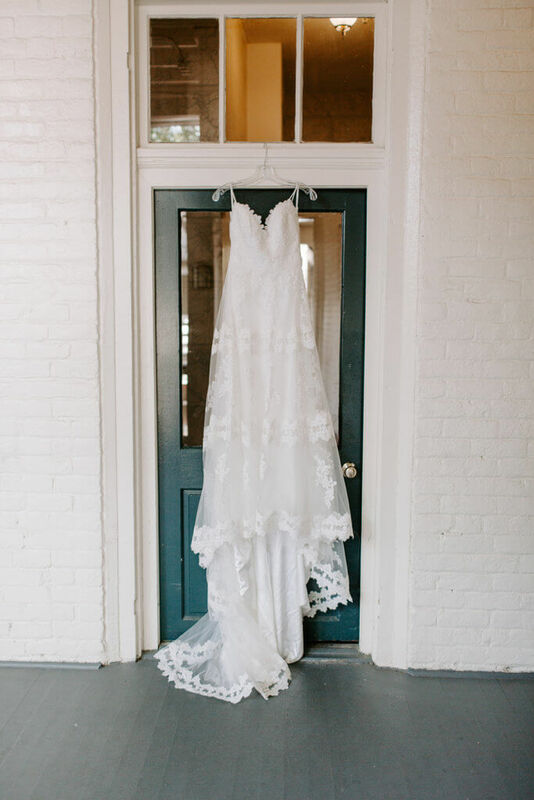 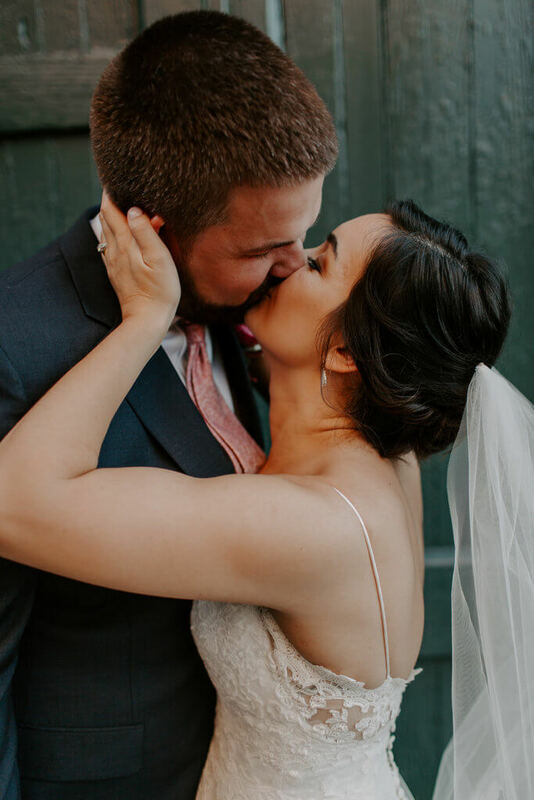 “I wanted something outdoors, but not woodsy, with a rich history.” They found exactly what they wanted in the quaint and gorgeous Linden Row Inn. 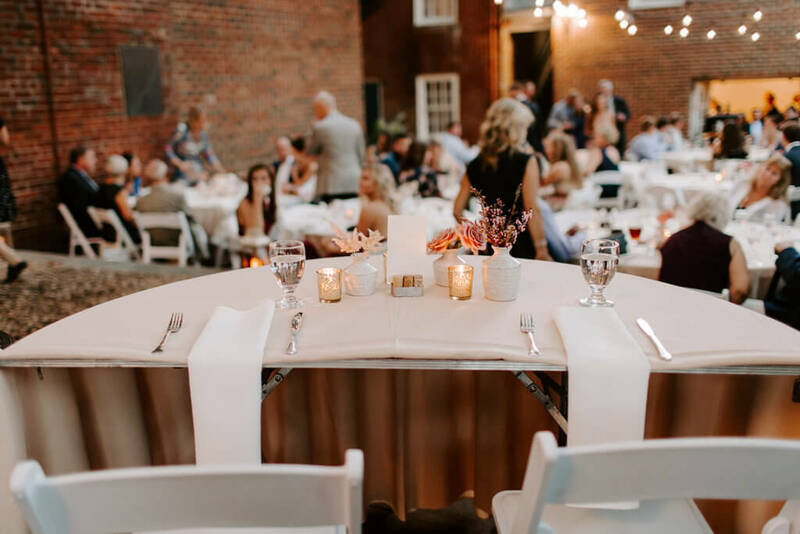 As for the theme, the two wanted the venue to speak for itself. 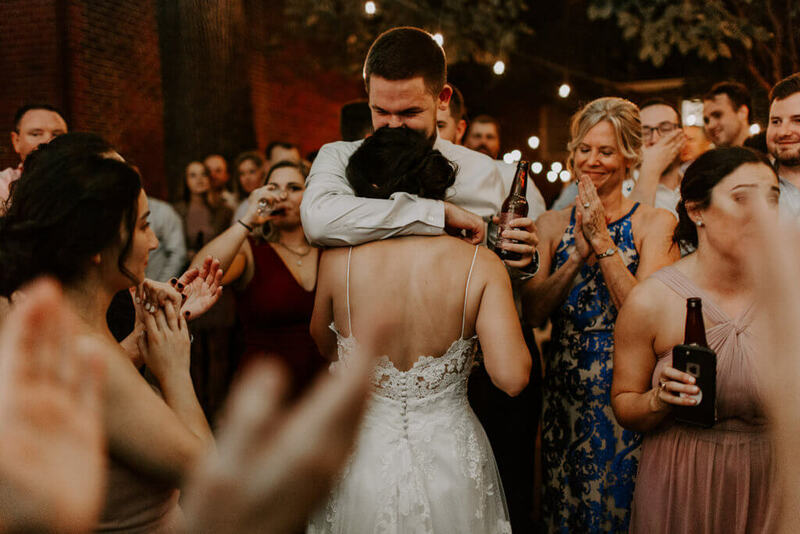 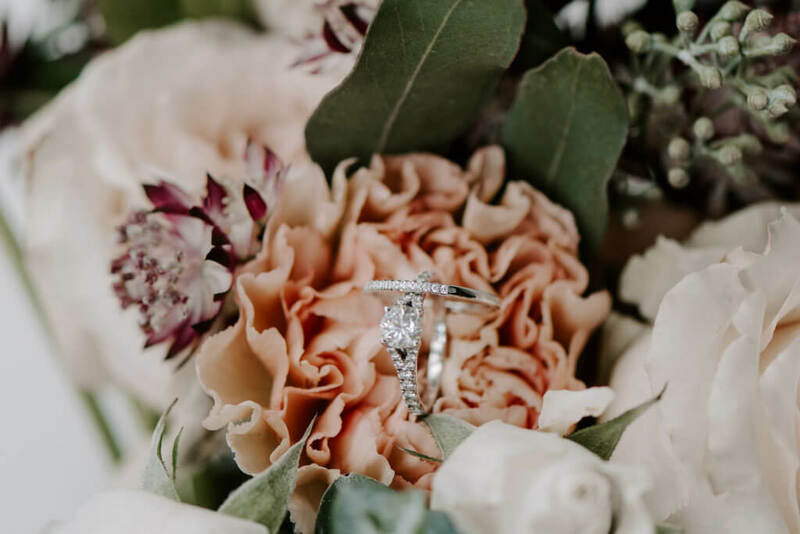 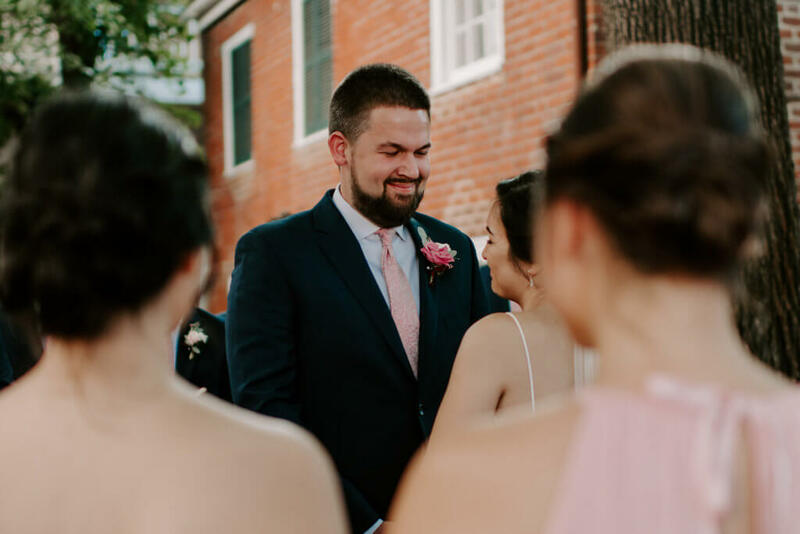 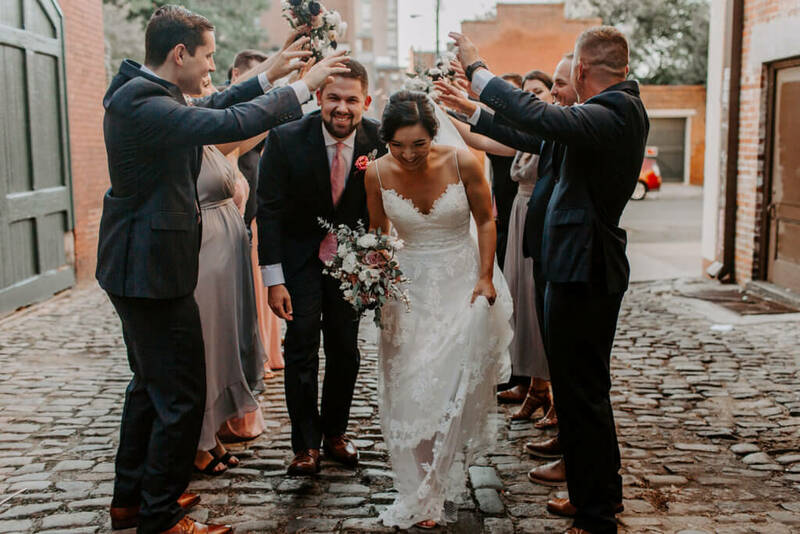 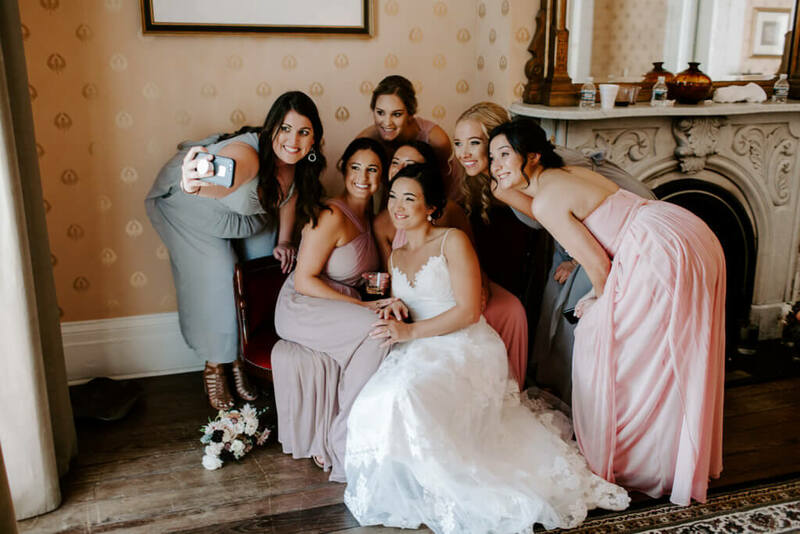 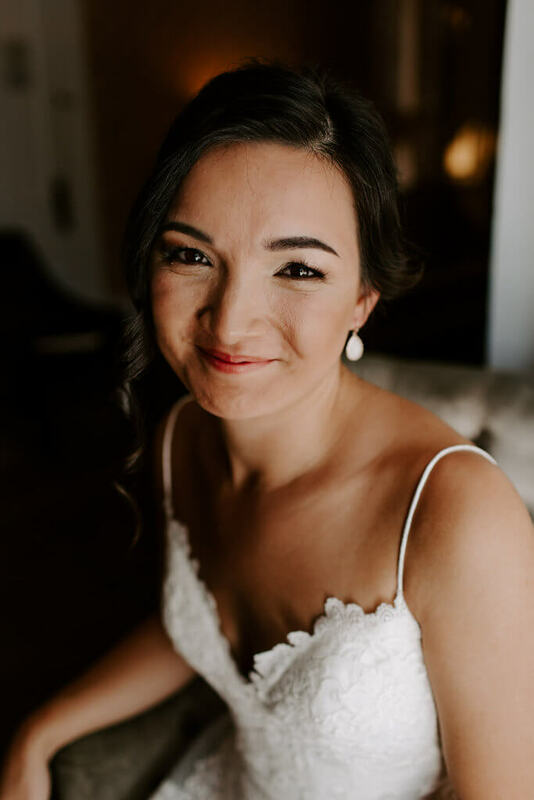 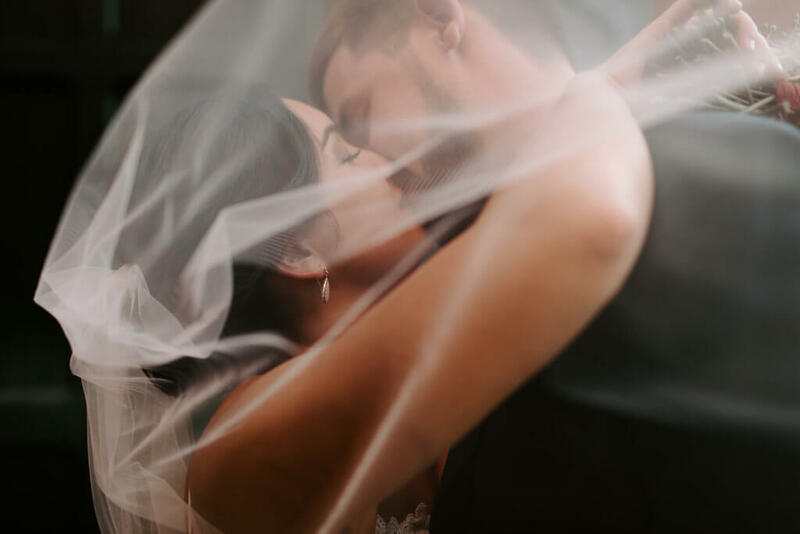 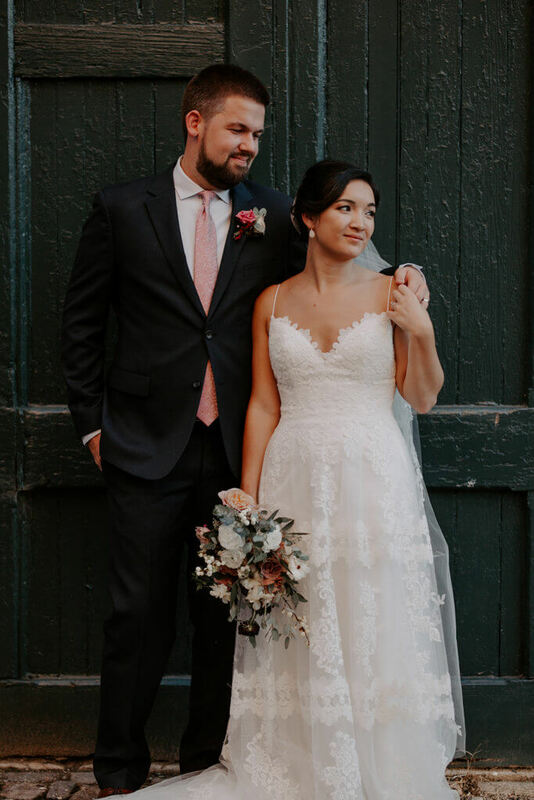 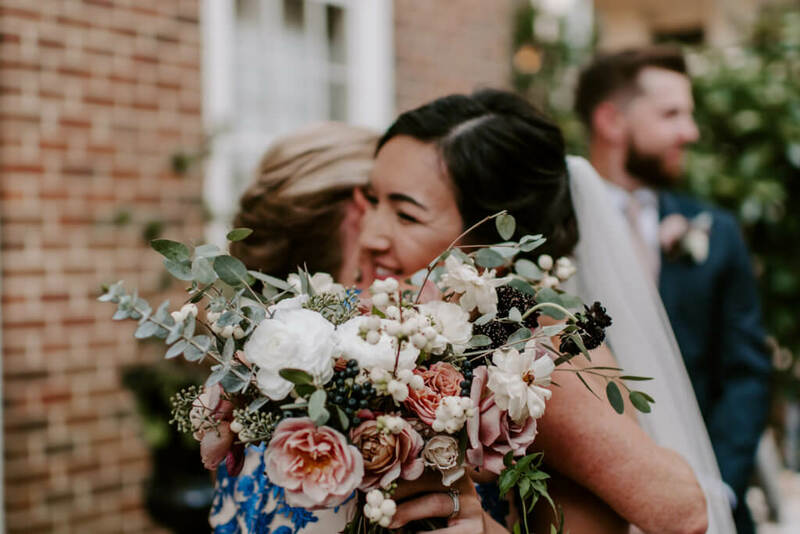 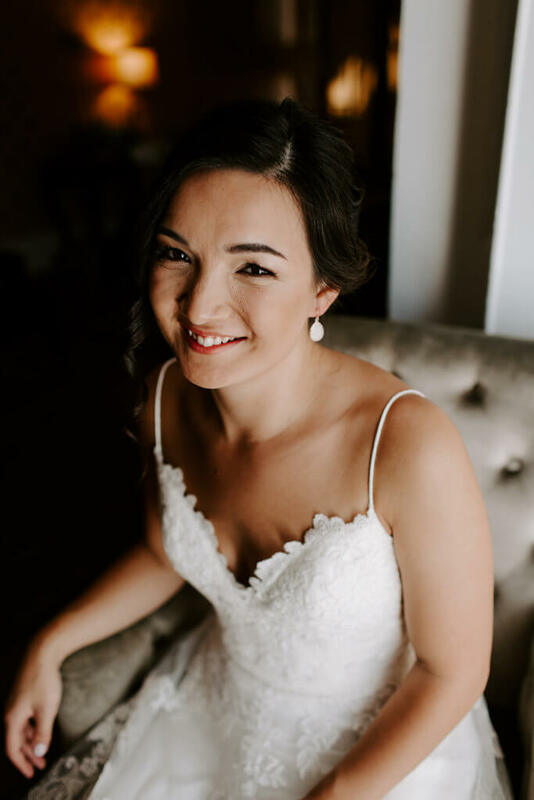 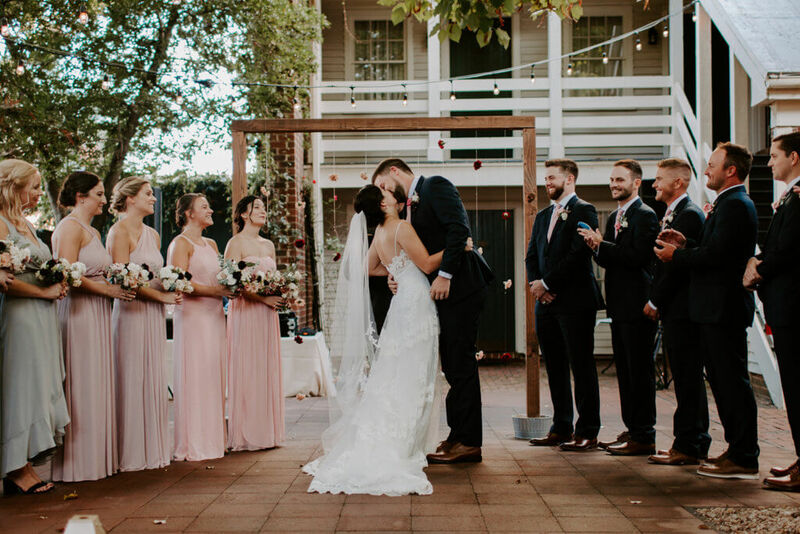 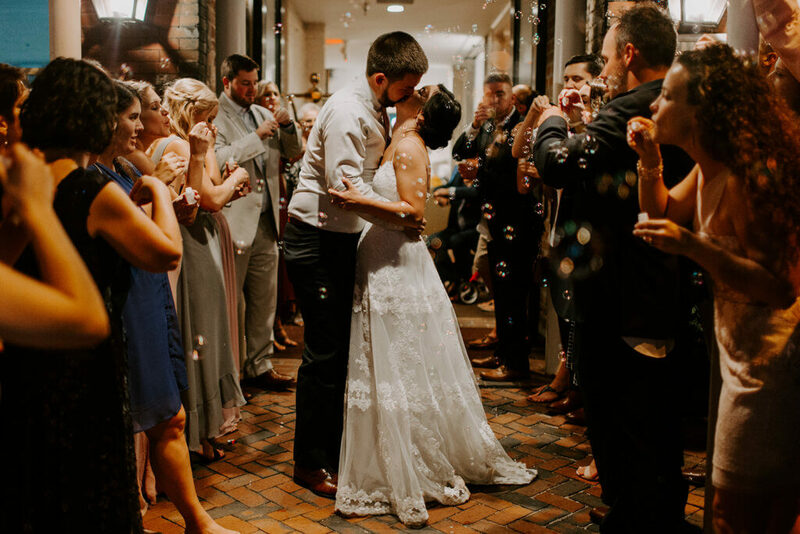 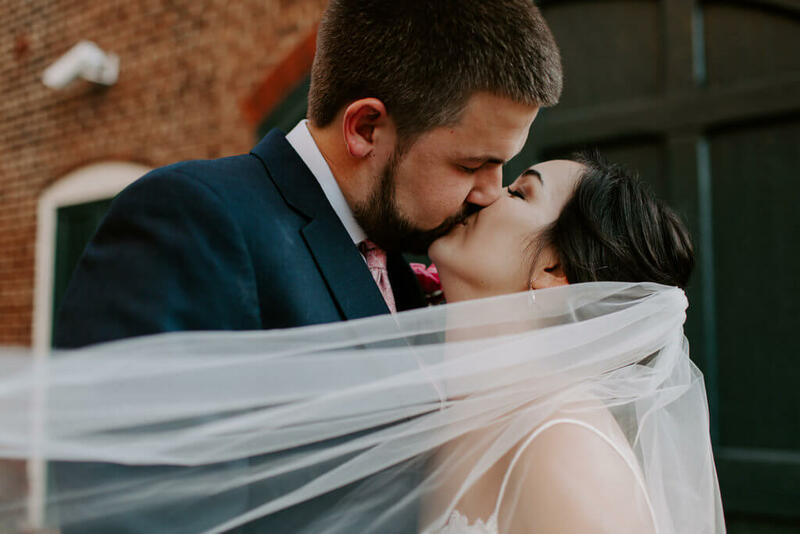 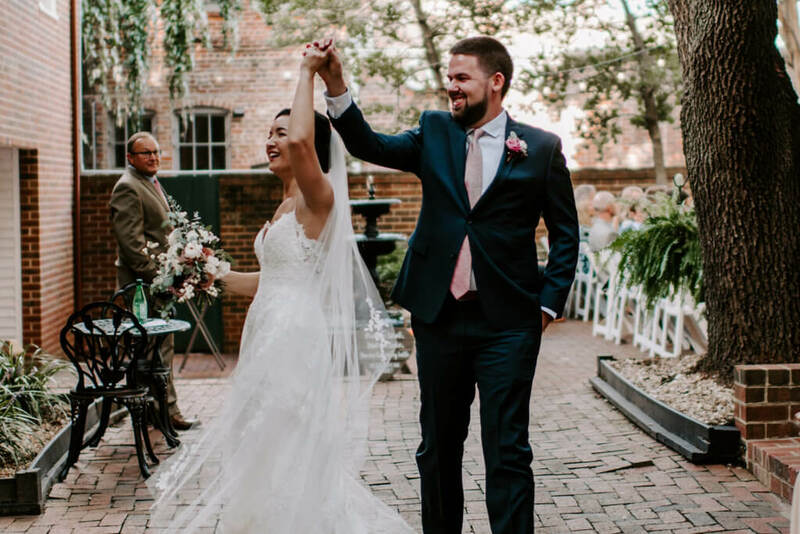 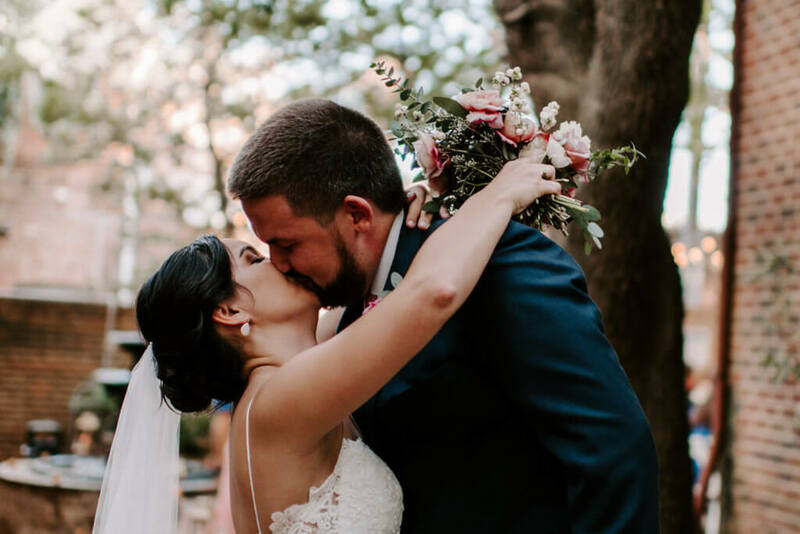 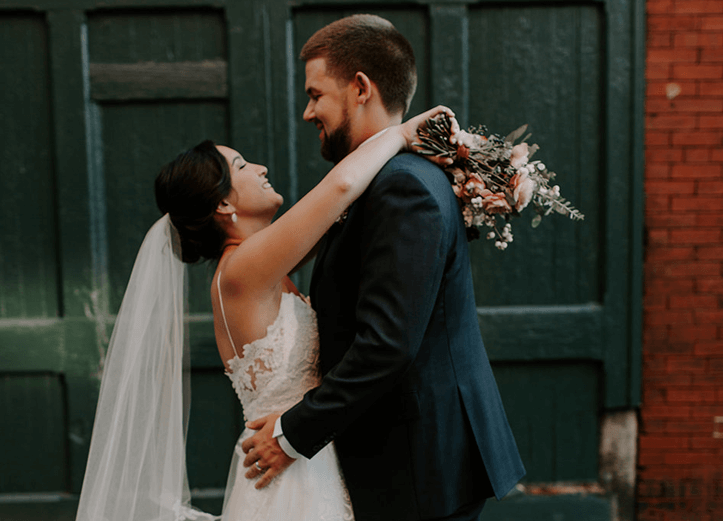 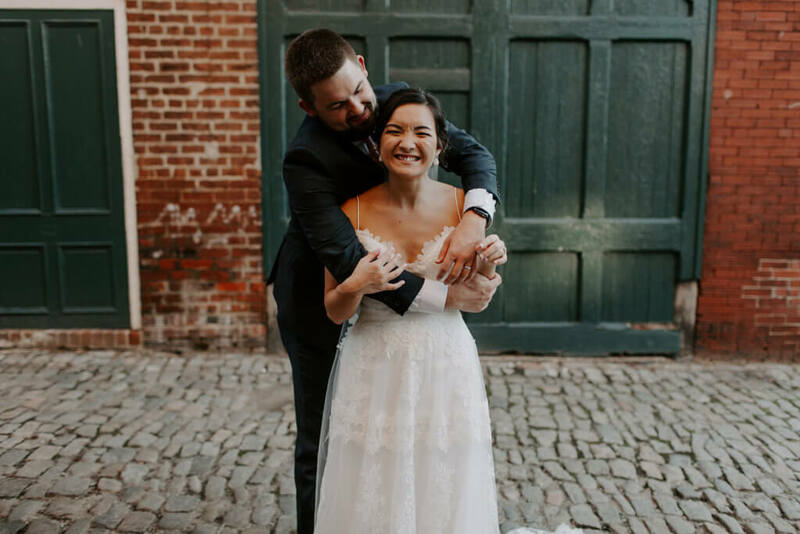 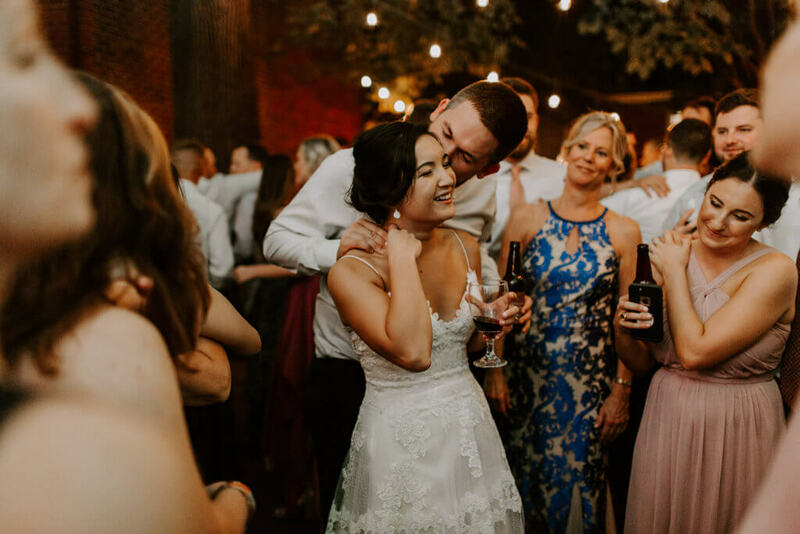 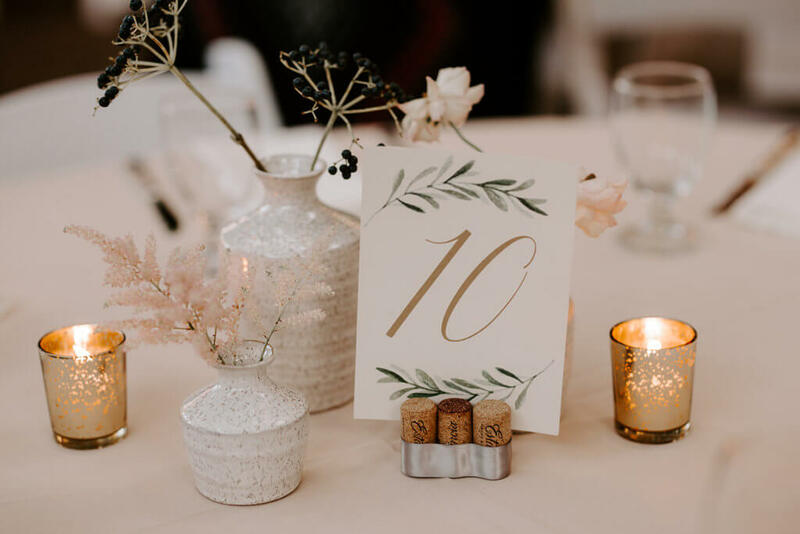 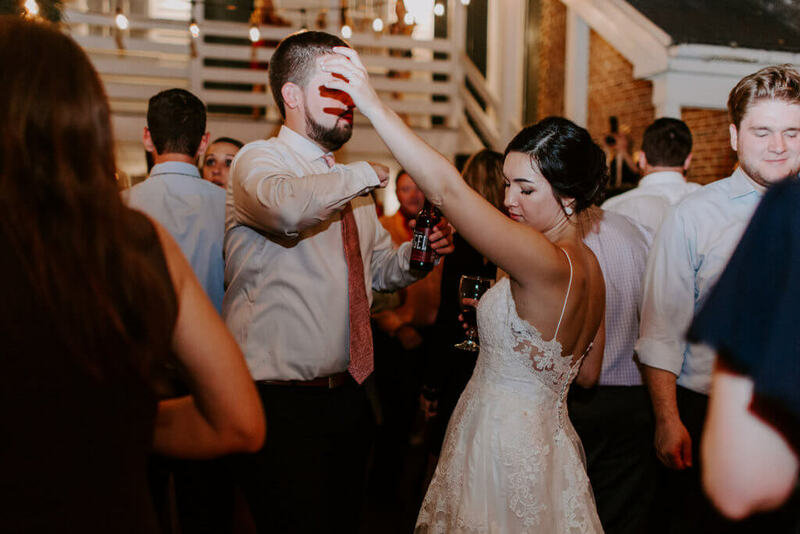 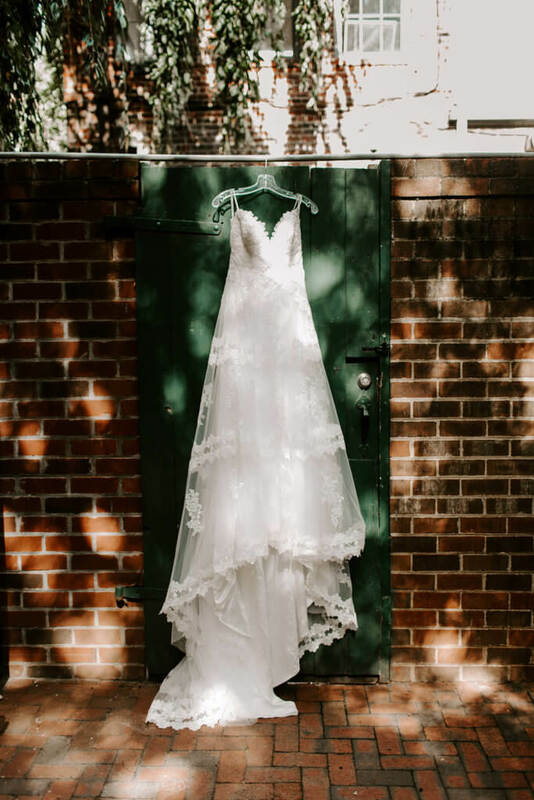 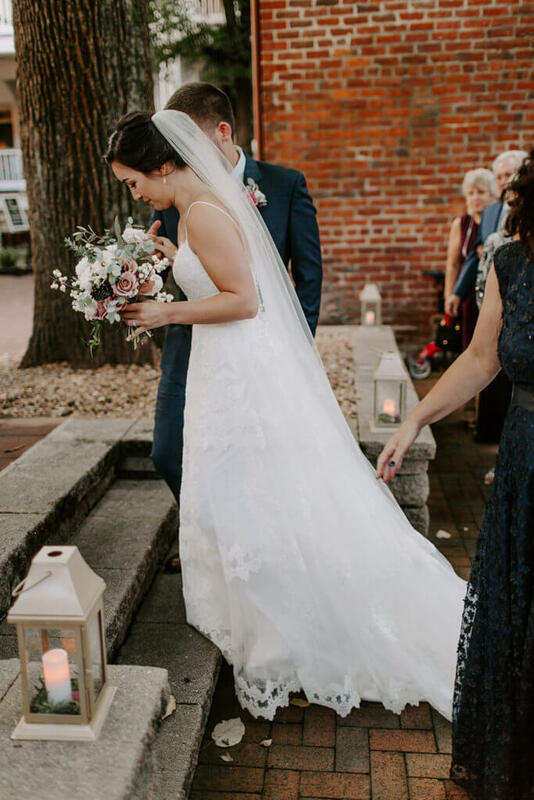 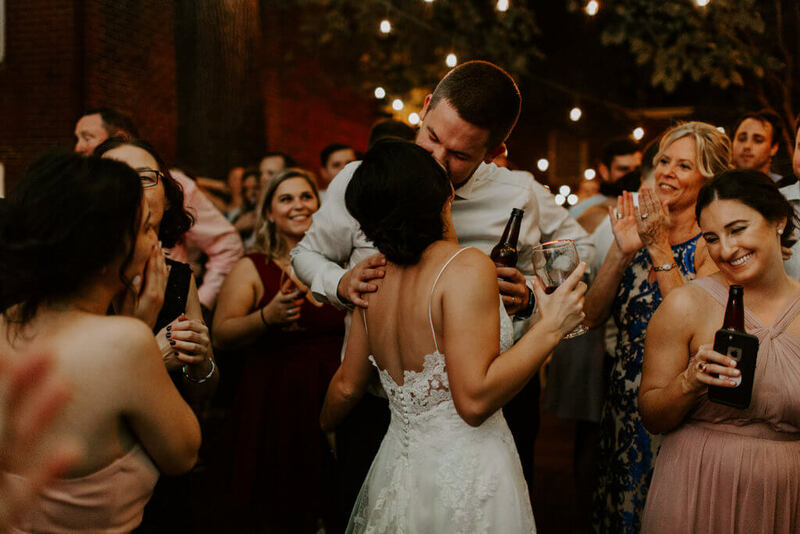 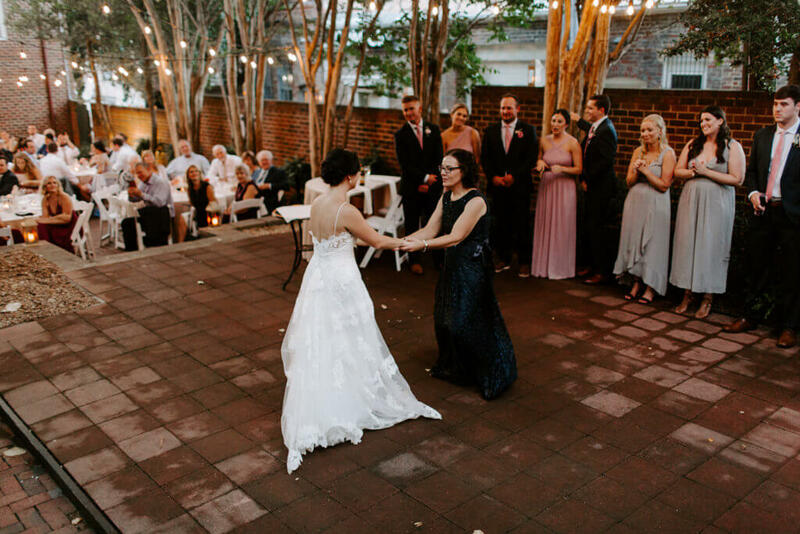 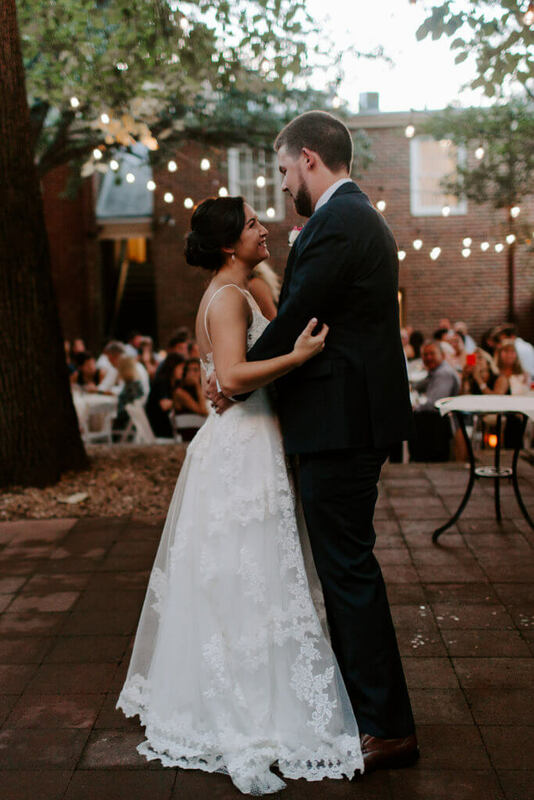 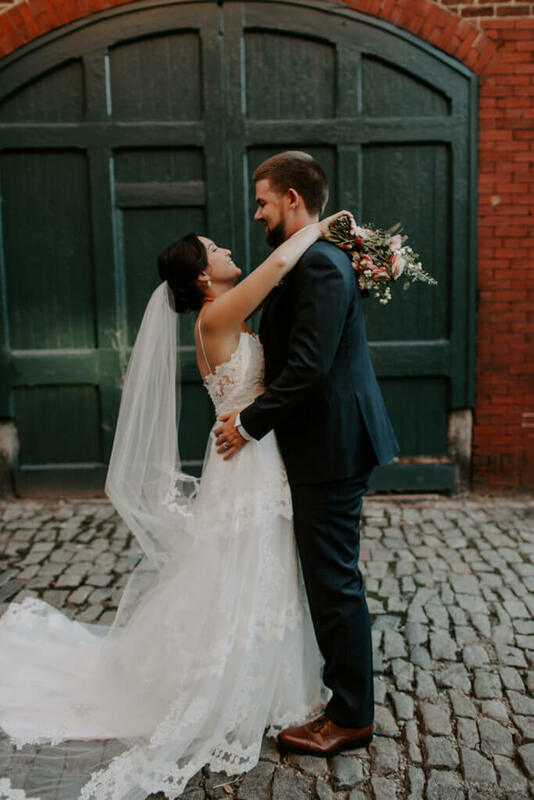 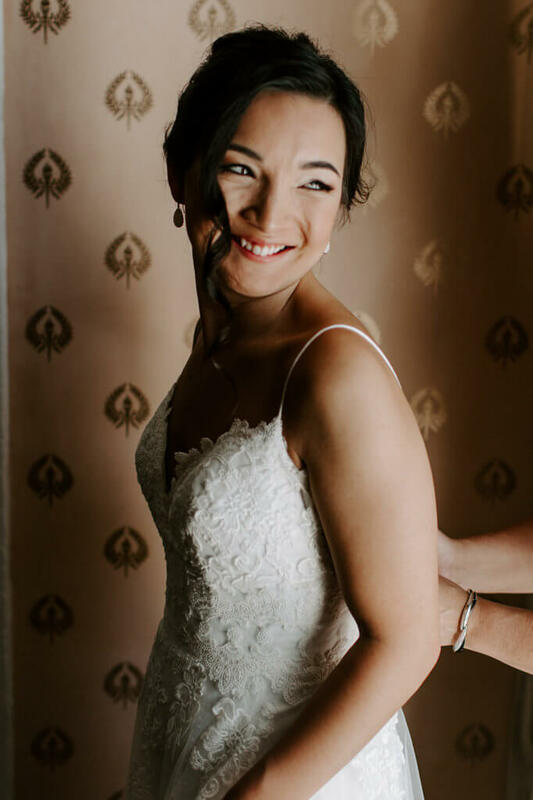 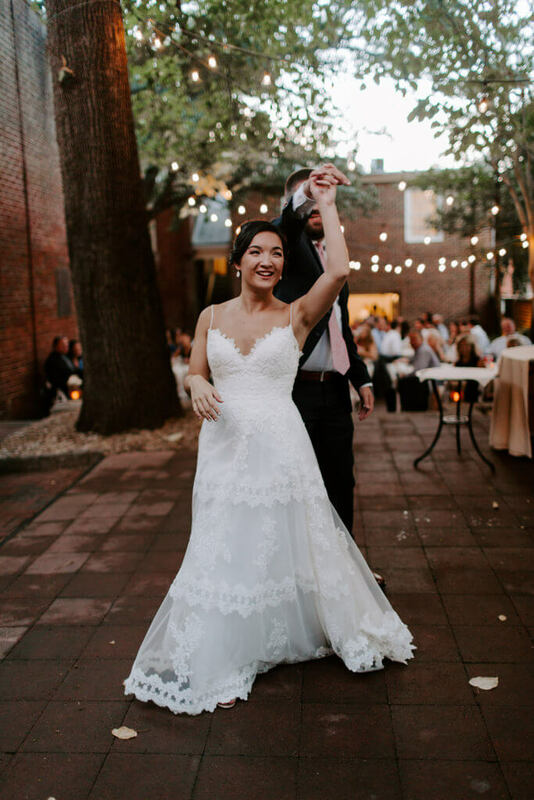 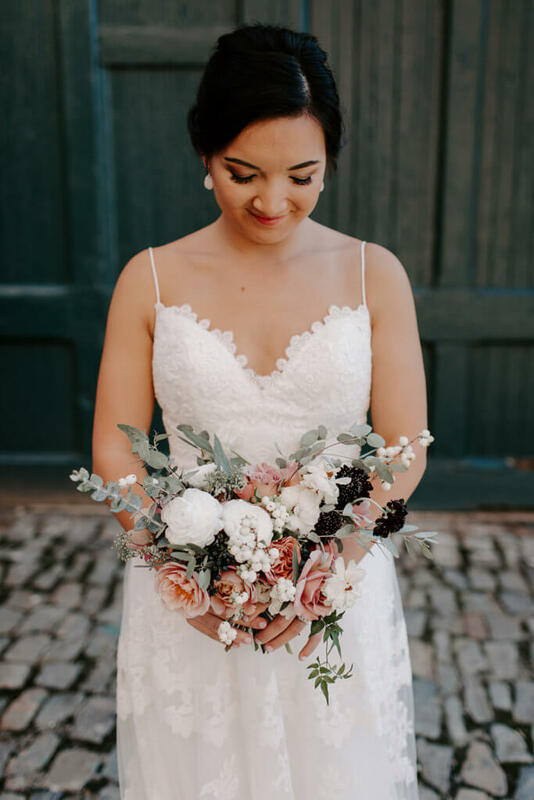 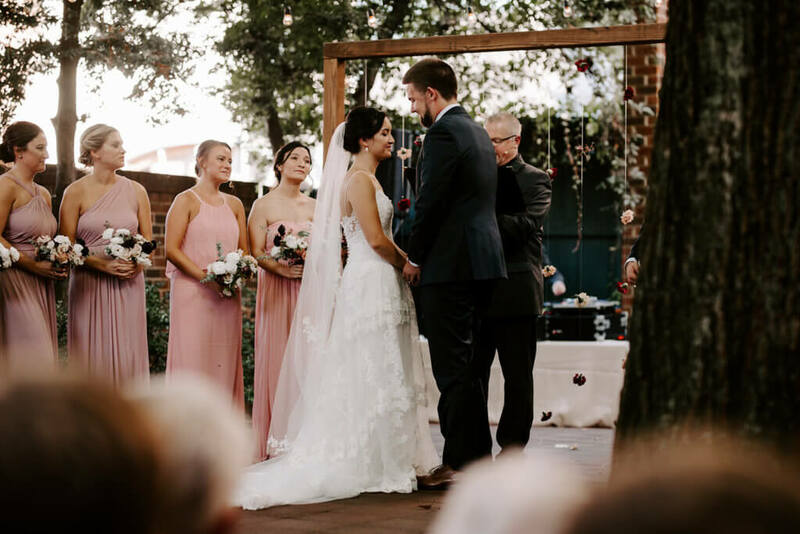 “I didn’t do a ton of extra decorating since the venue already looked beautiful with the brick and greenery.” They also loved how the bistro lights made everything glow in a romantic soft light. 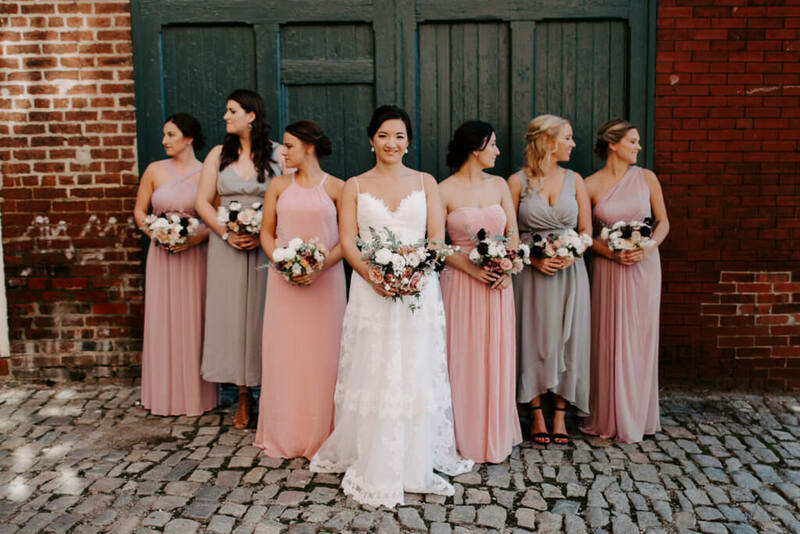 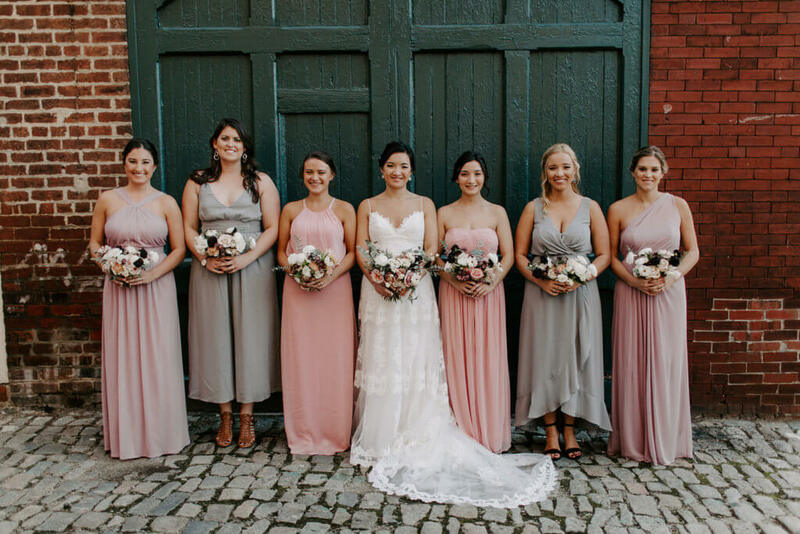 As for their colors, they went with different shades of pink and mauve. 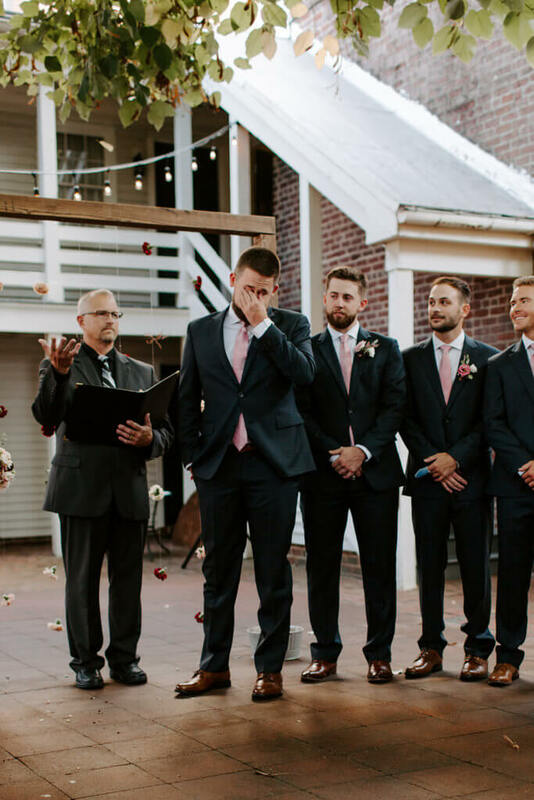 “To be honest, that was probably one of the harder decisions. 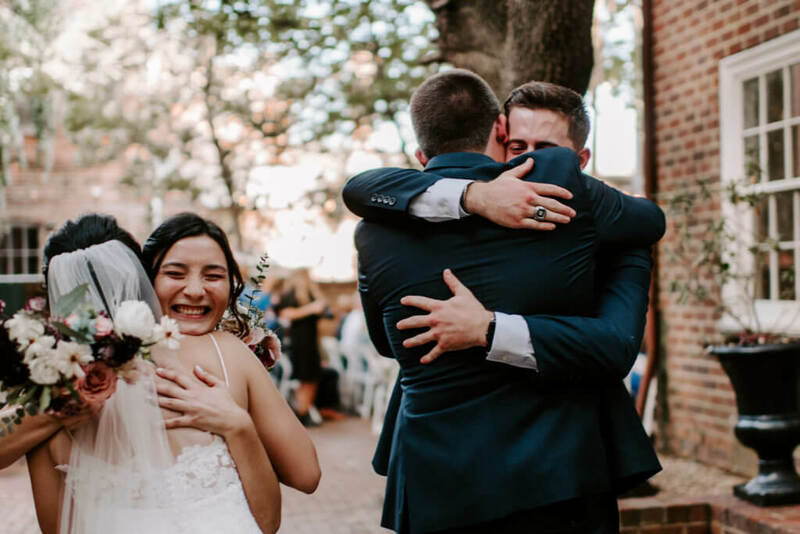 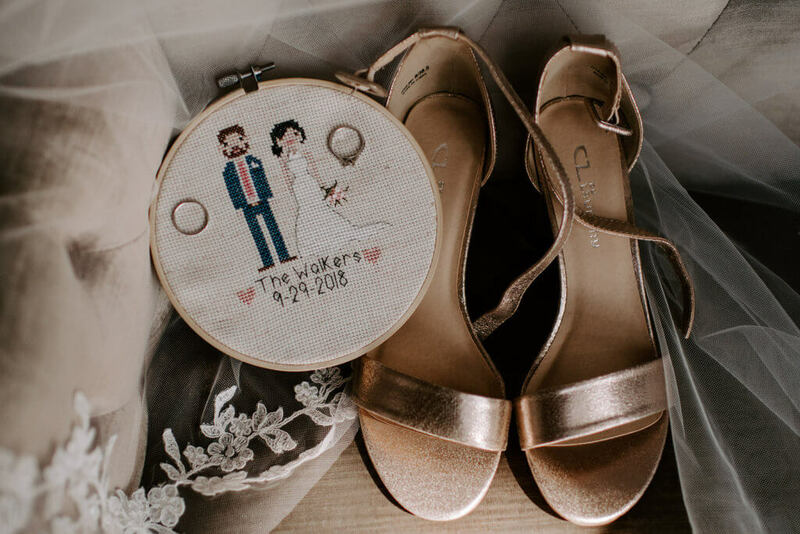 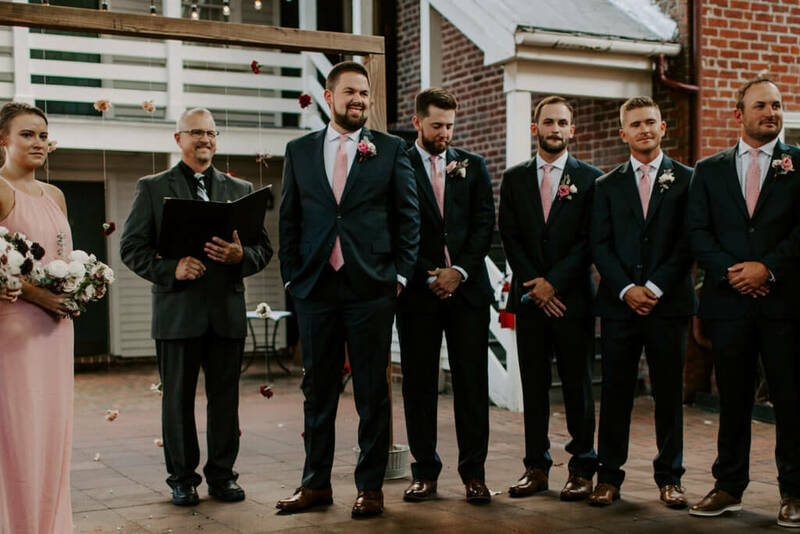 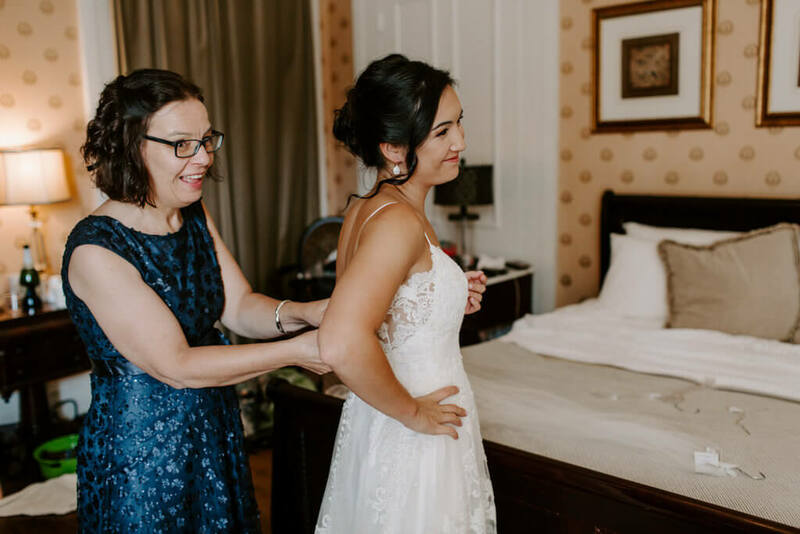 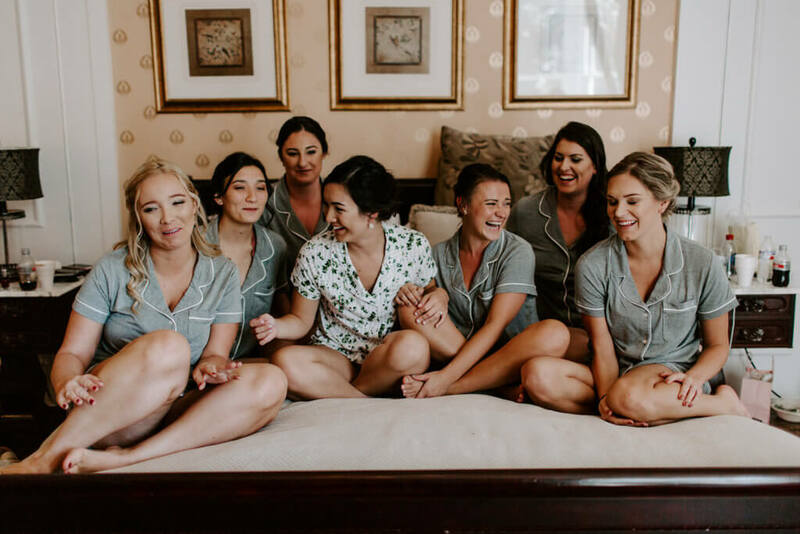 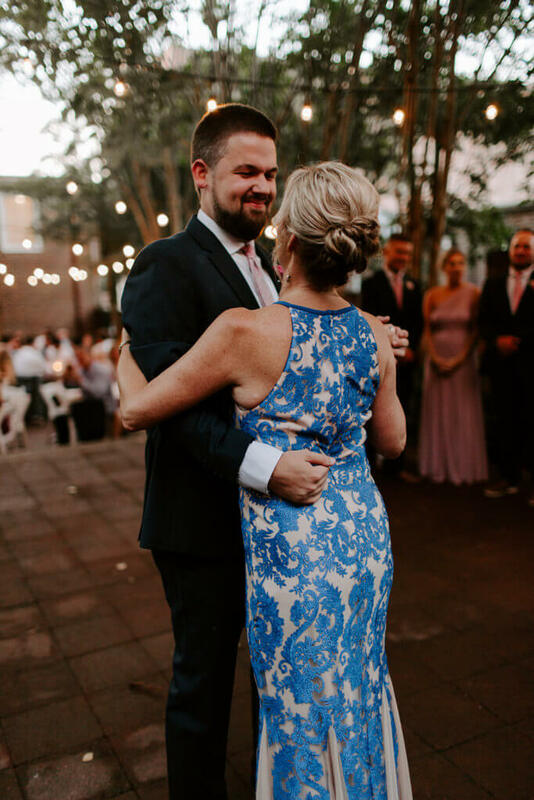 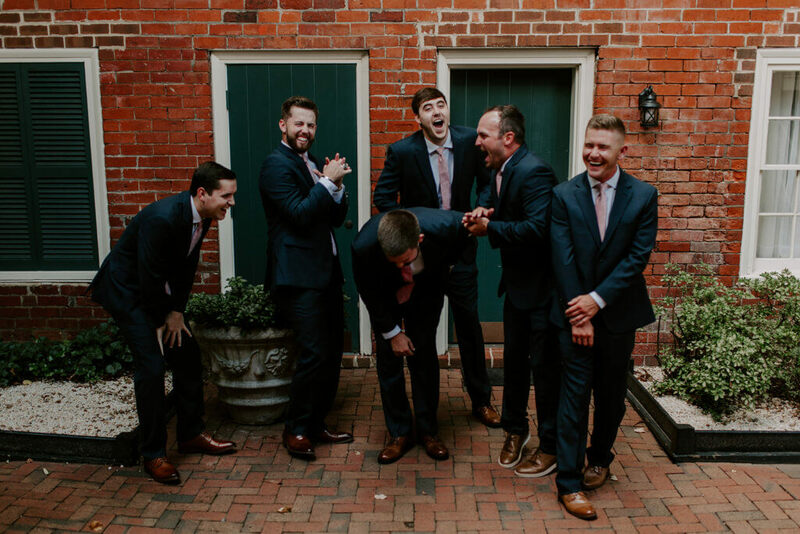 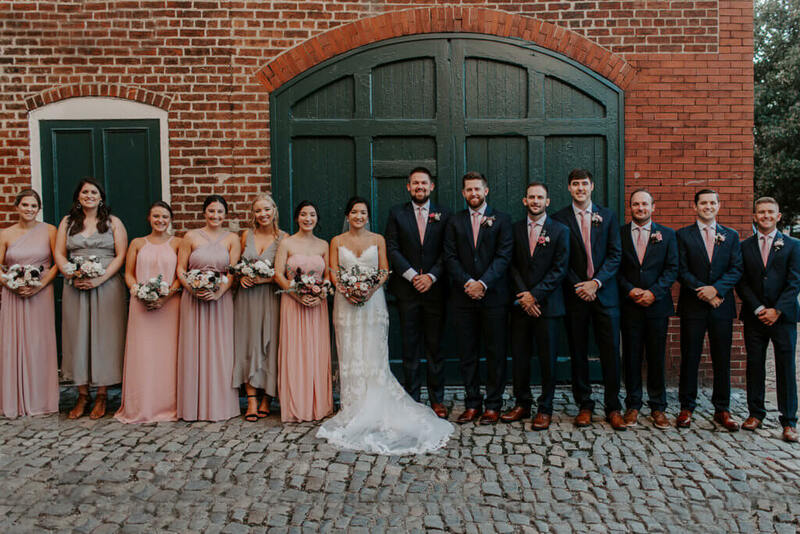 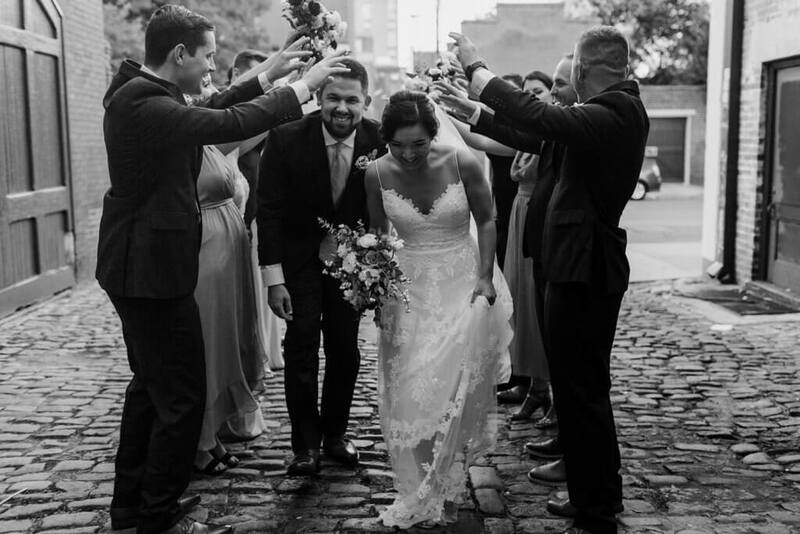 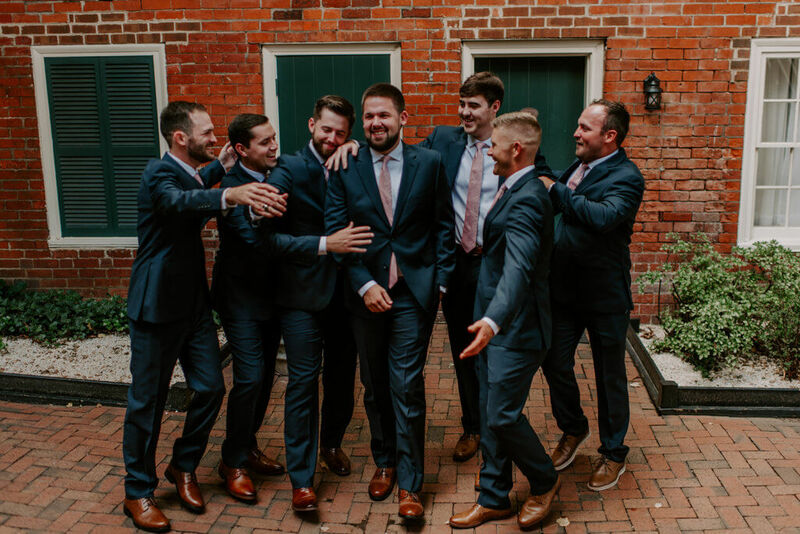 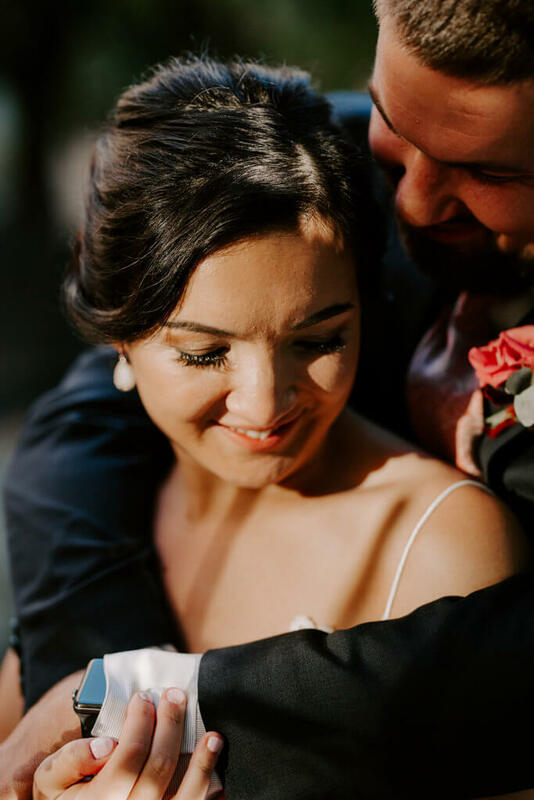 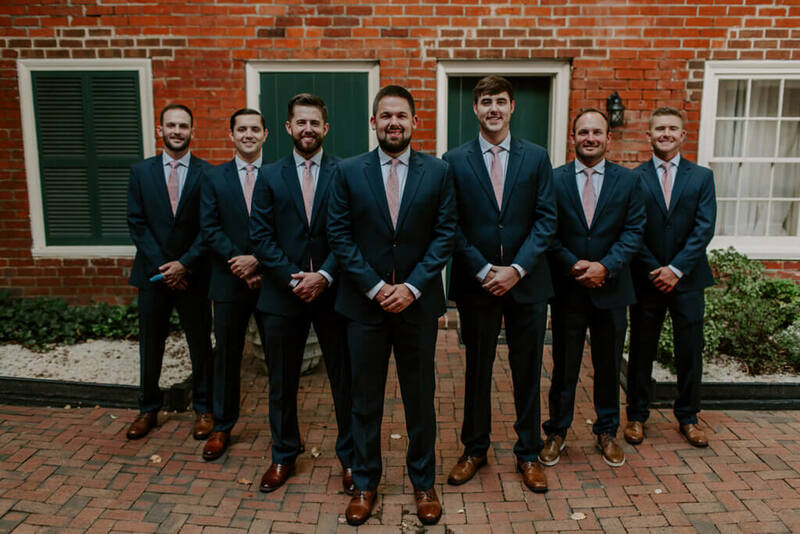 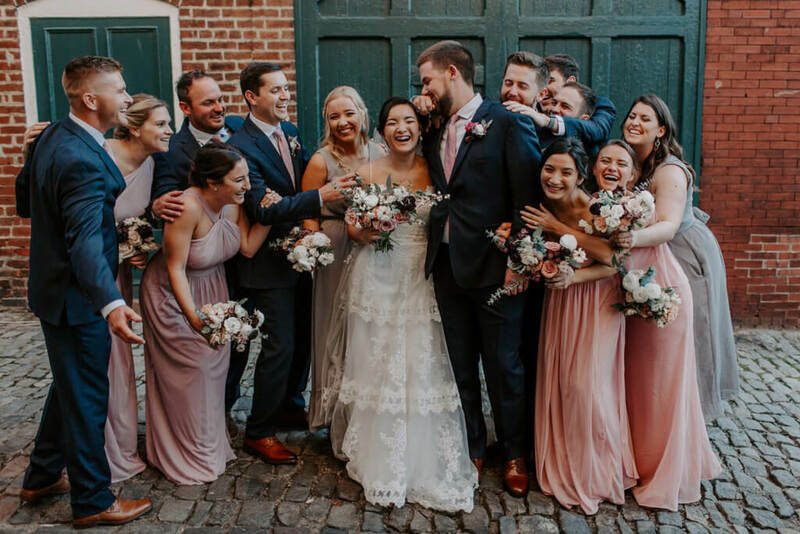 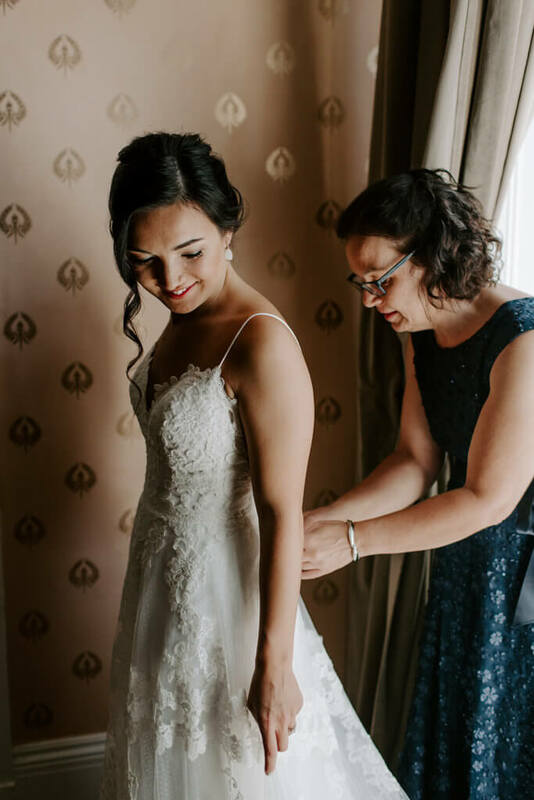 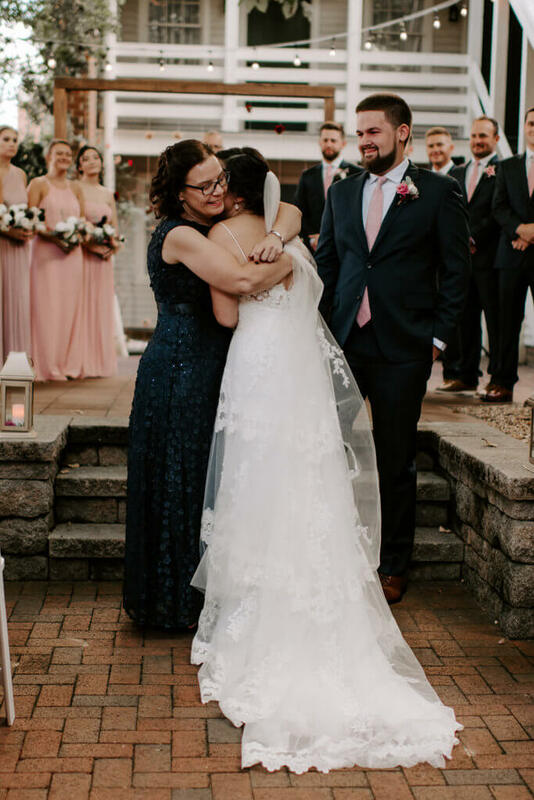 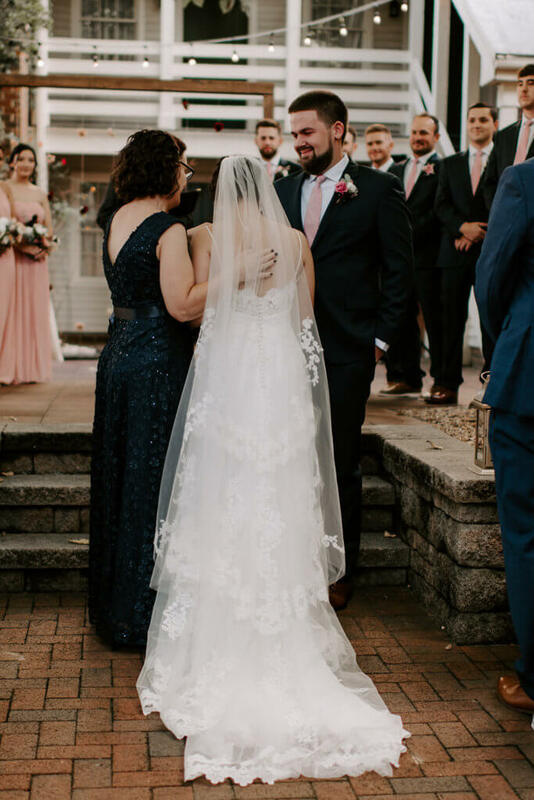 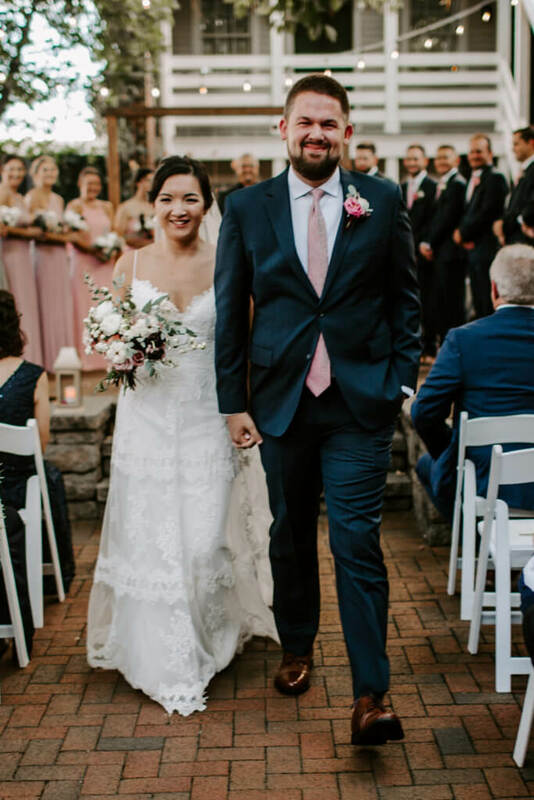 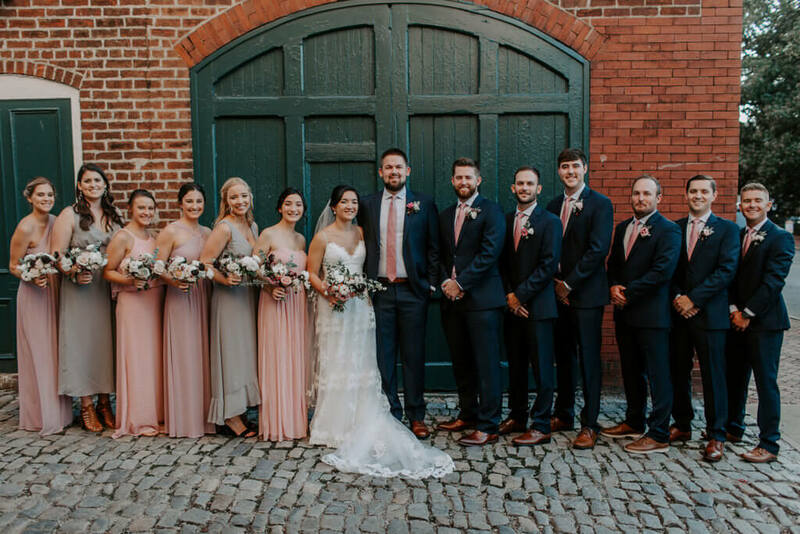 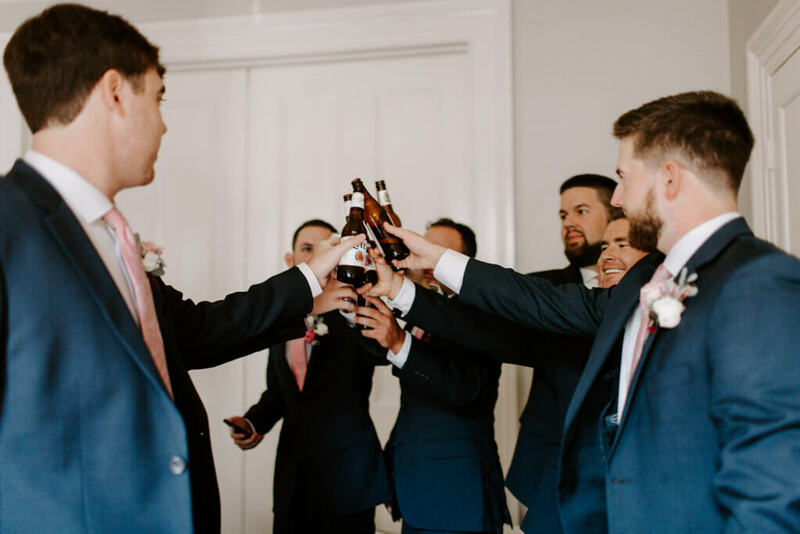 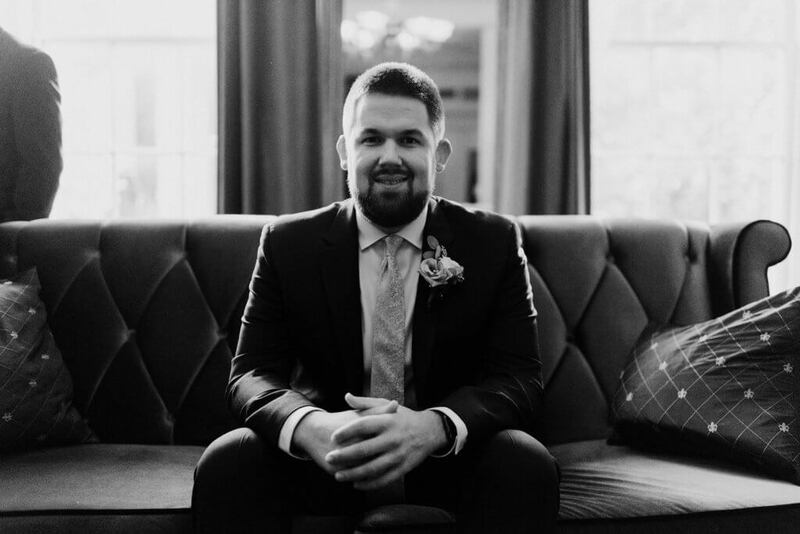 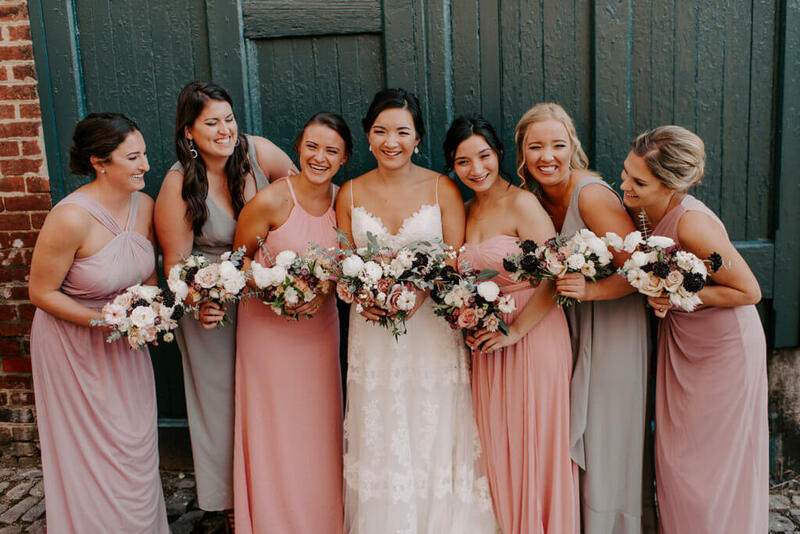 I kept going back and forth but landed on three colors for the dresses, and everything else kind of fell into place from there!” The groomsmen looked dapper in their dark navy suits, which complimented their colors perfectly. 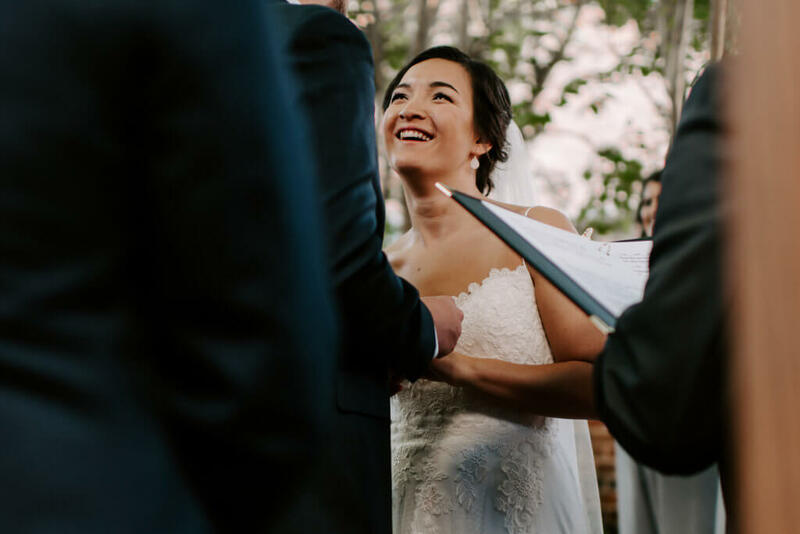 The lighting for the day looked exquisite, thanks to a last-minute save by The Lighting & Sound Company. 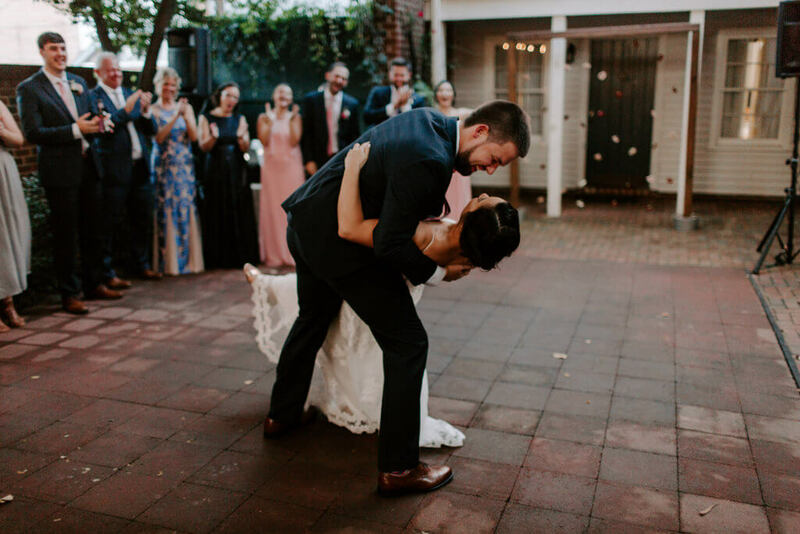 Their early fall night ended, with their closest family and friends dancing underneath the stars. 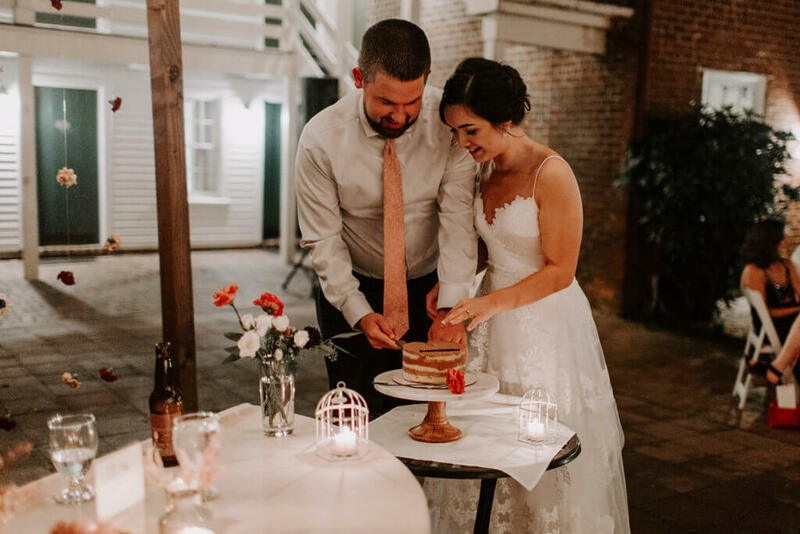 With the bistro lights giving their night that romantic glow, Julia and Trey had the wedding day of their dreams.